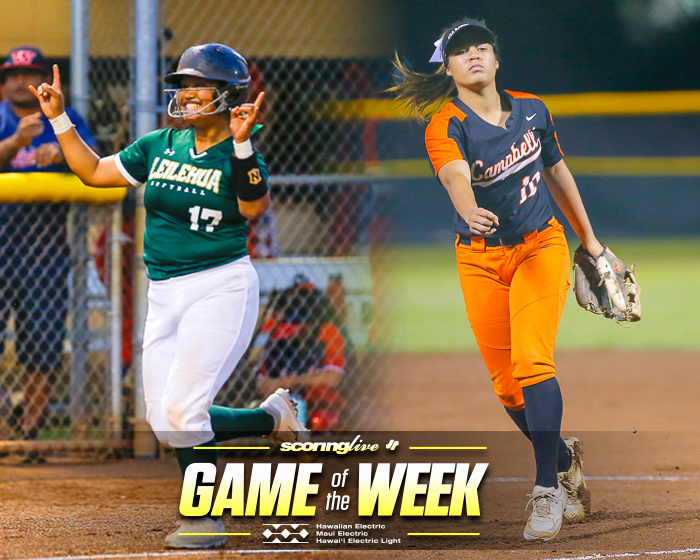 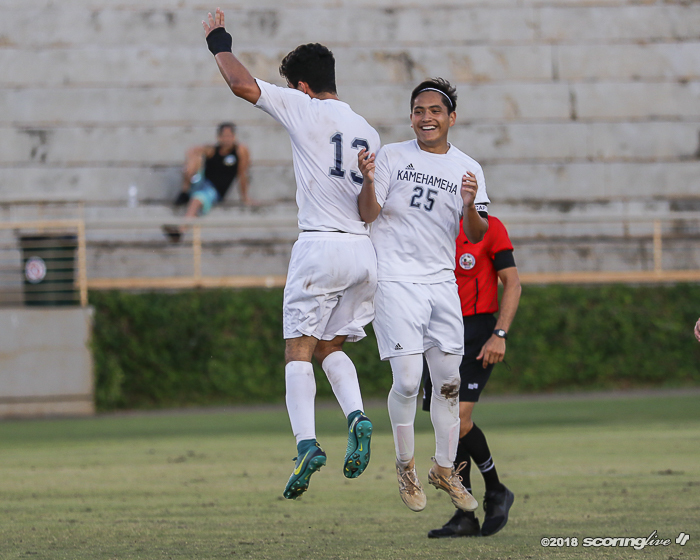 WAIPAHU — Somehow, it's appropriate that both teams are called Warriors because top-seeded Kamehameha-Hawaii and second-seeded Kapaa played hard to the final second. 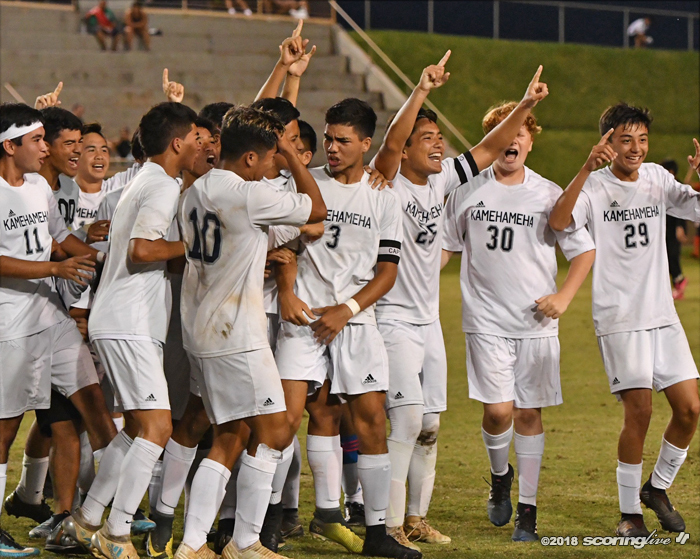 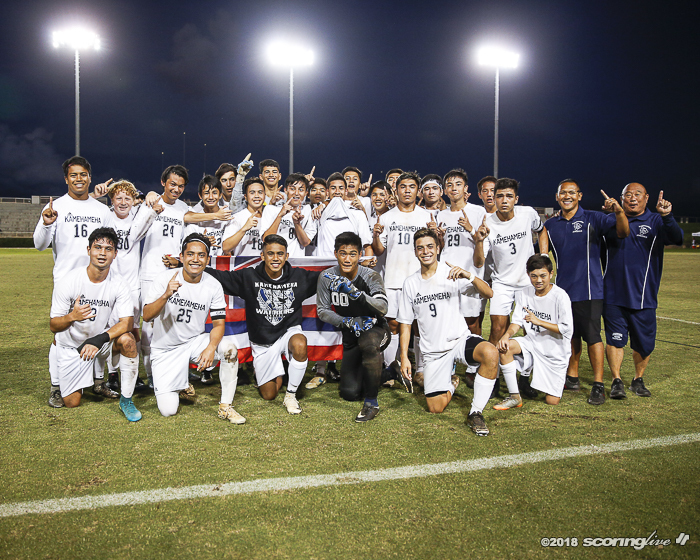 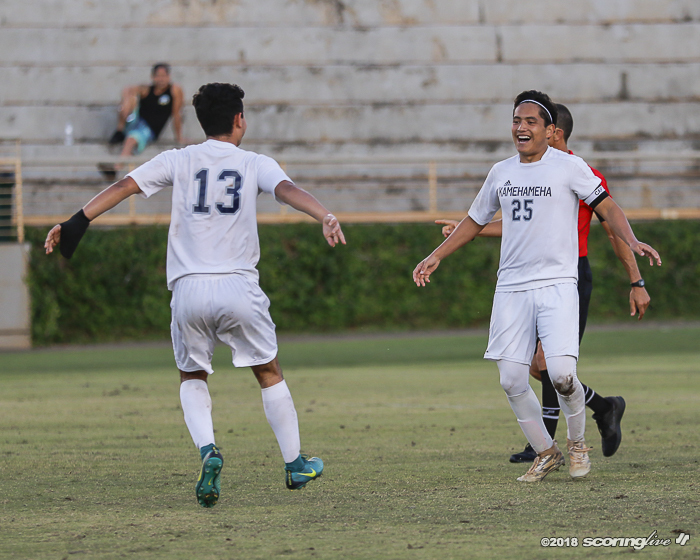 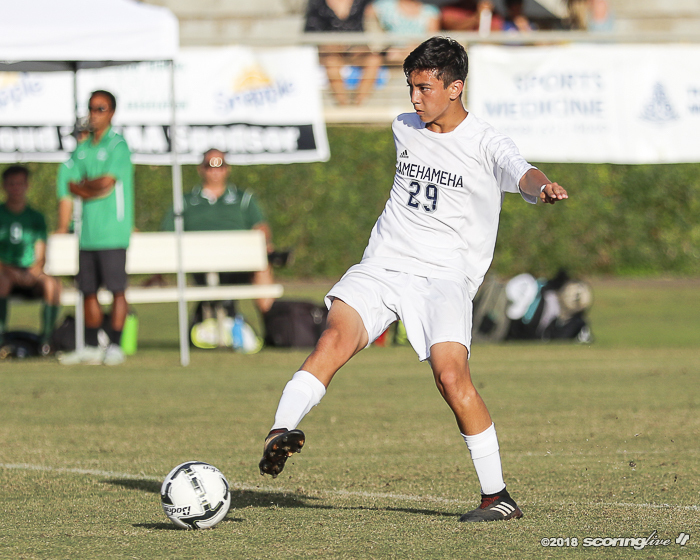 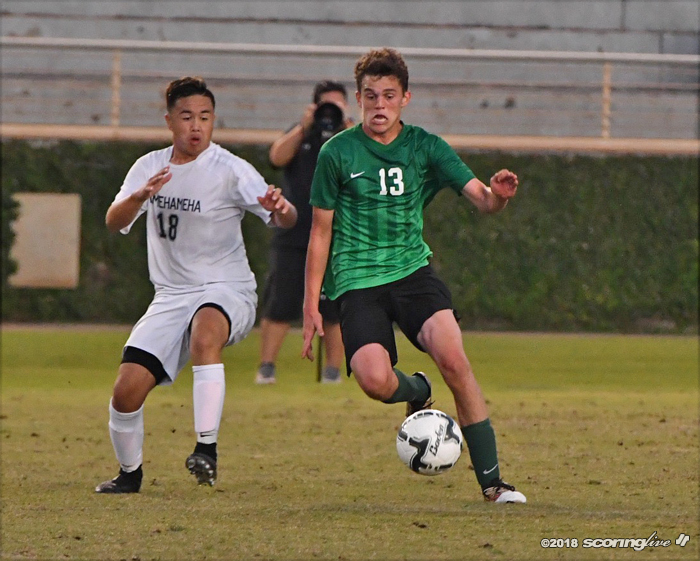 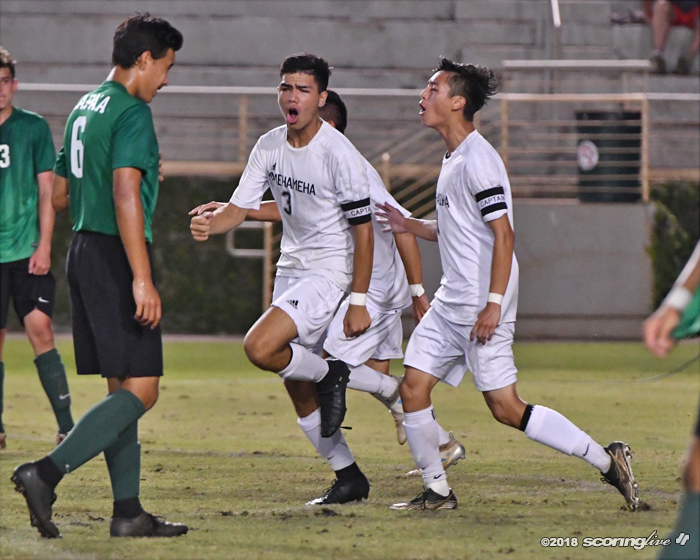 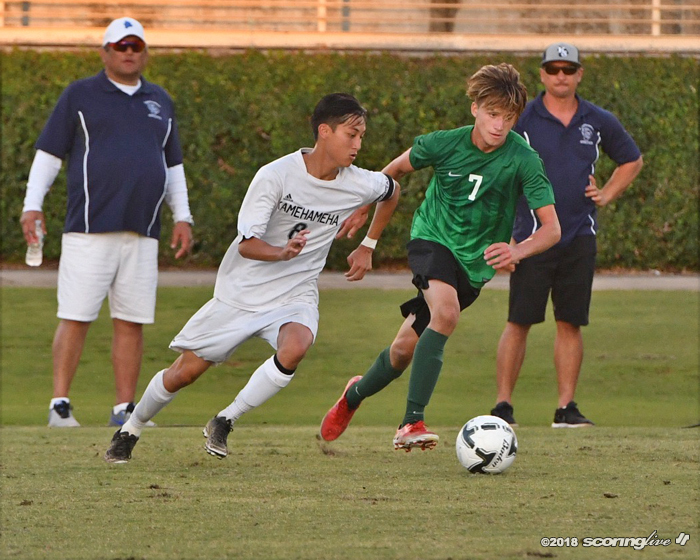 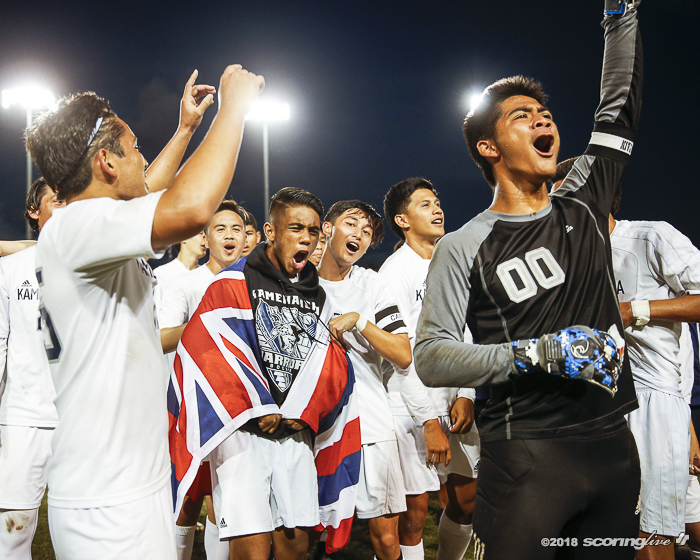 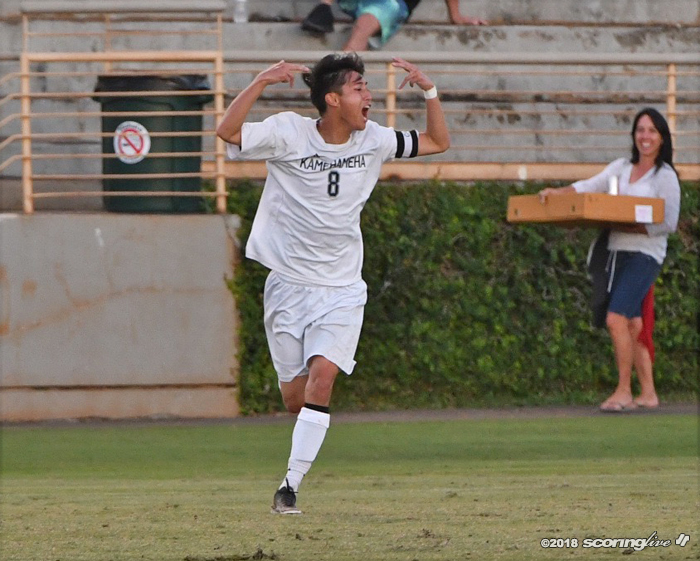 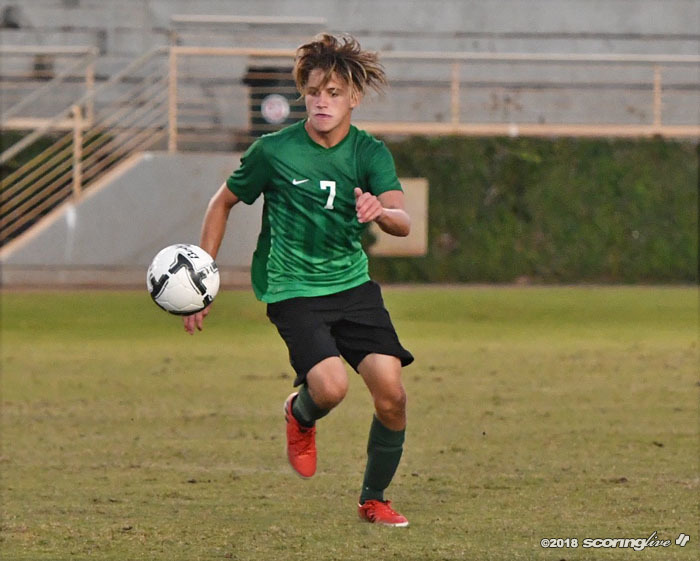 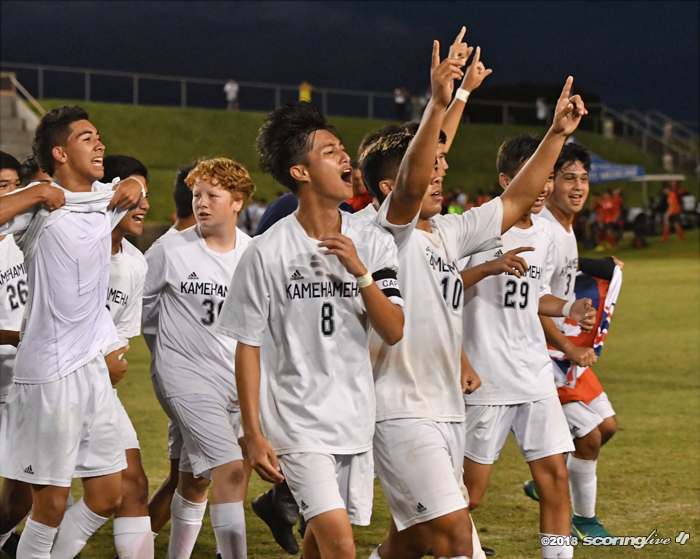 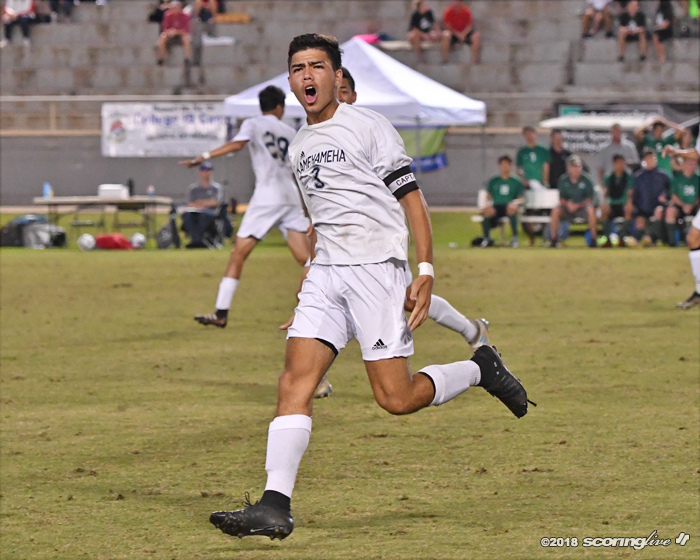 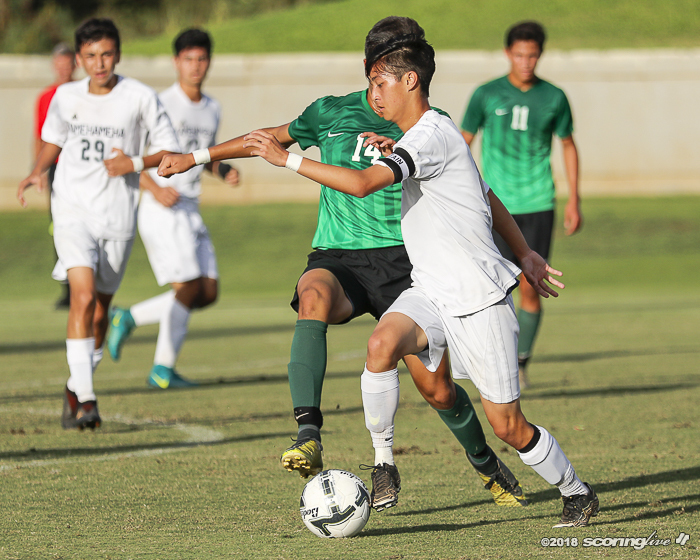 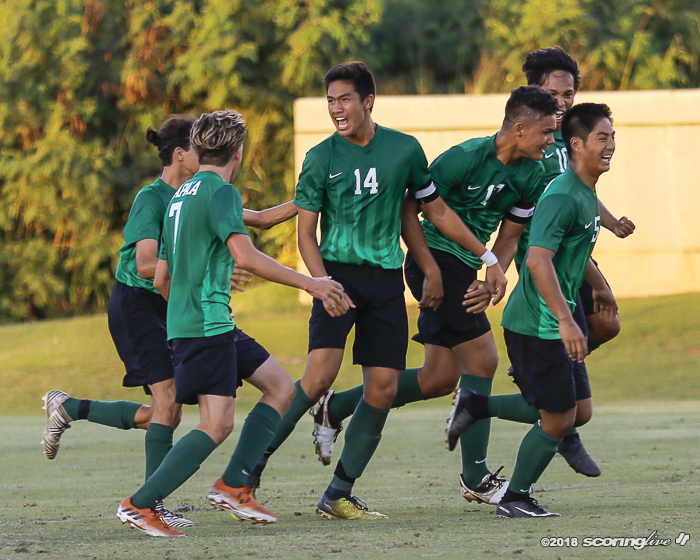 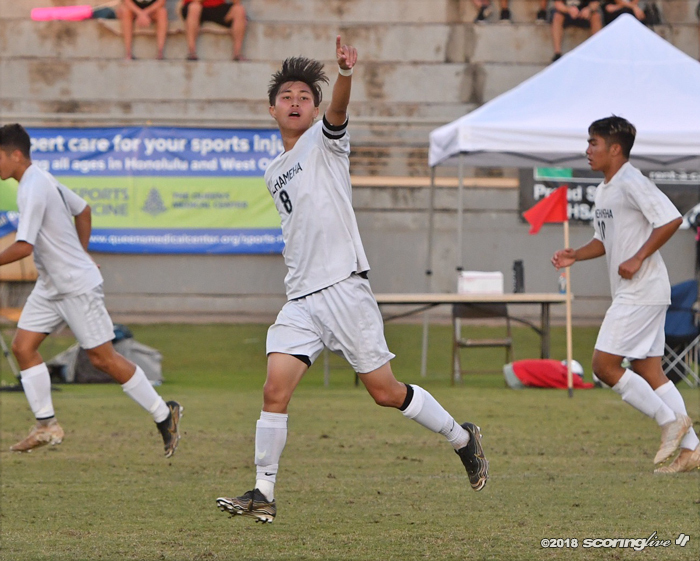 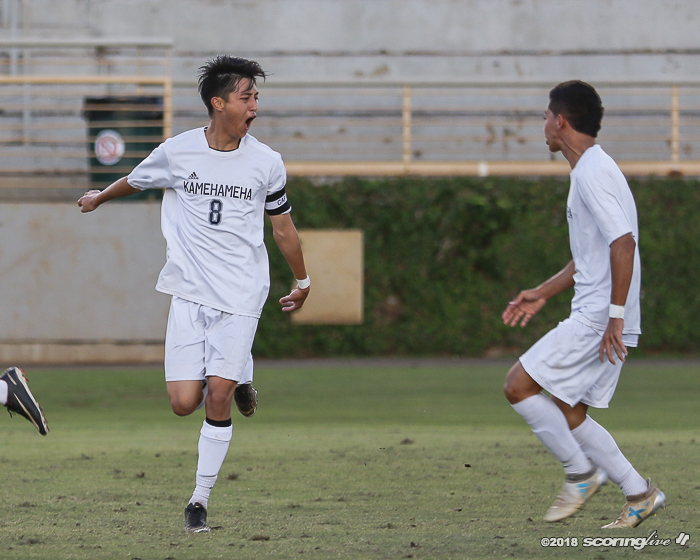 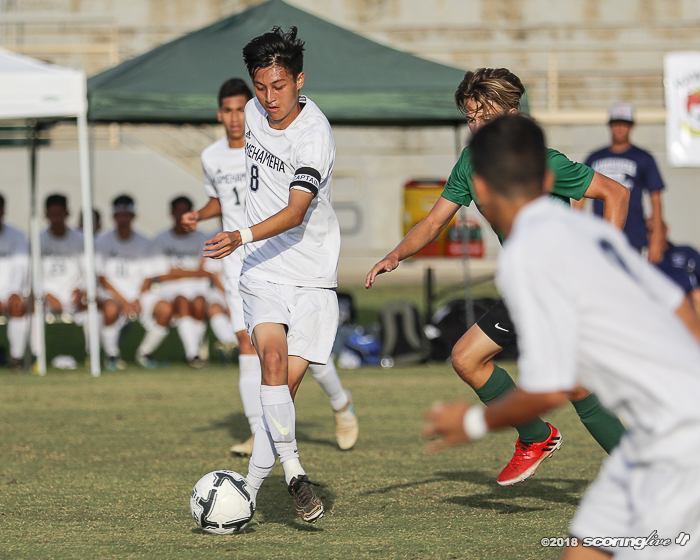 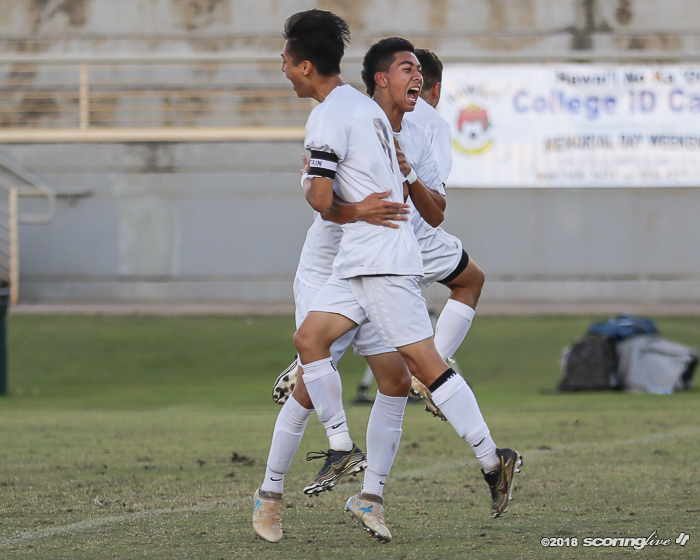 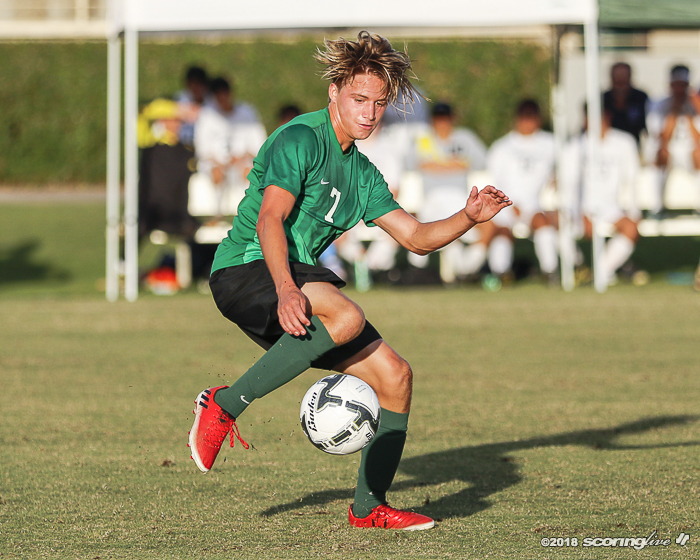 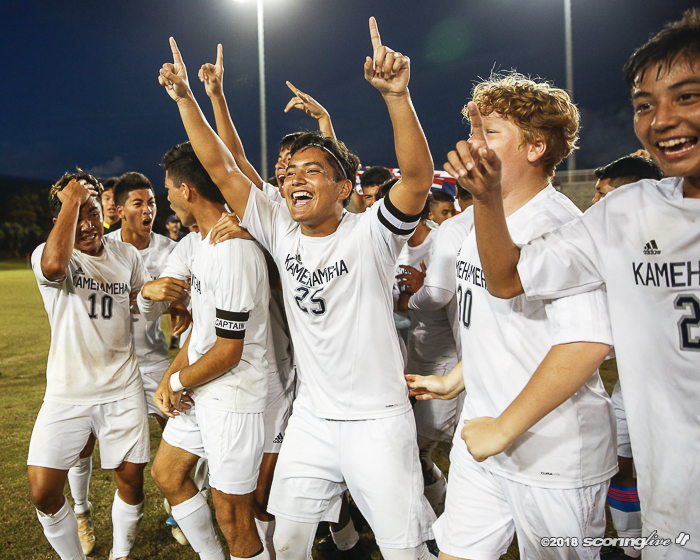 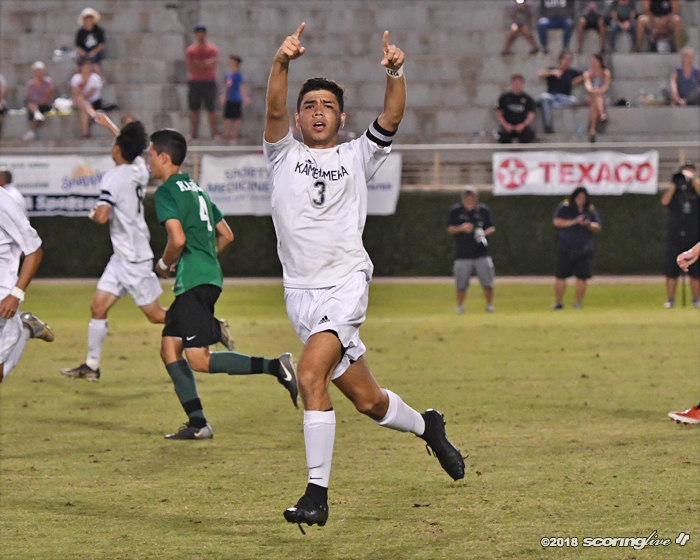 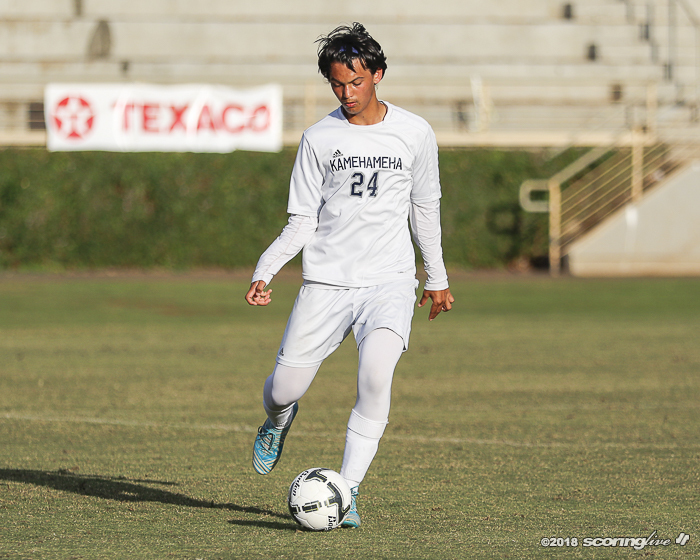 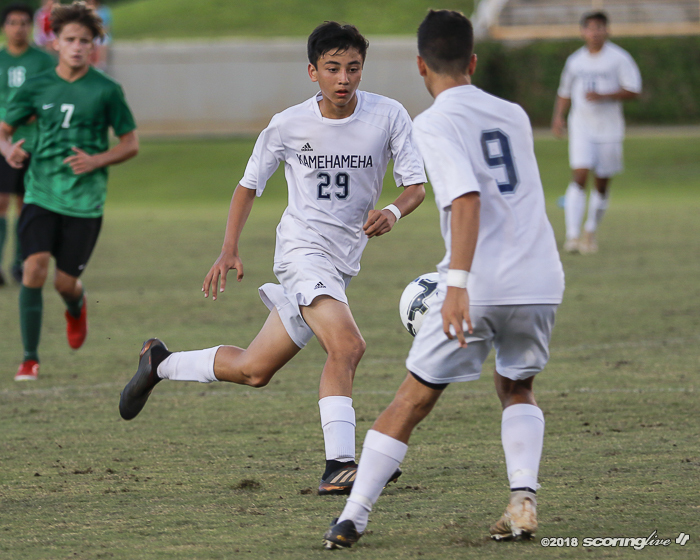 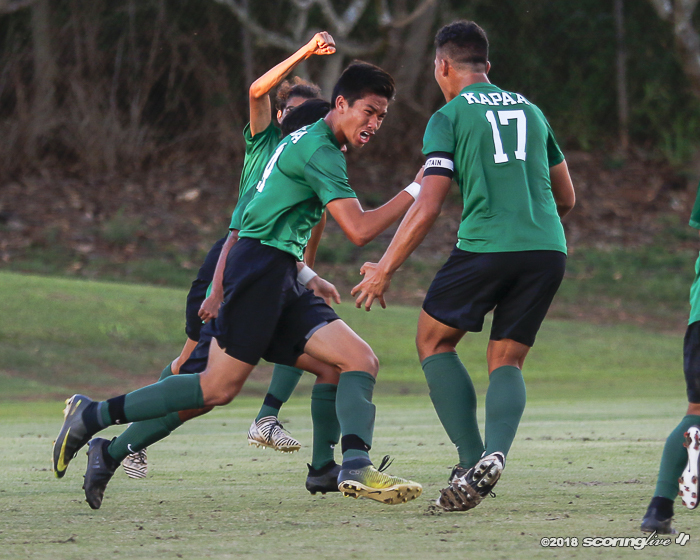 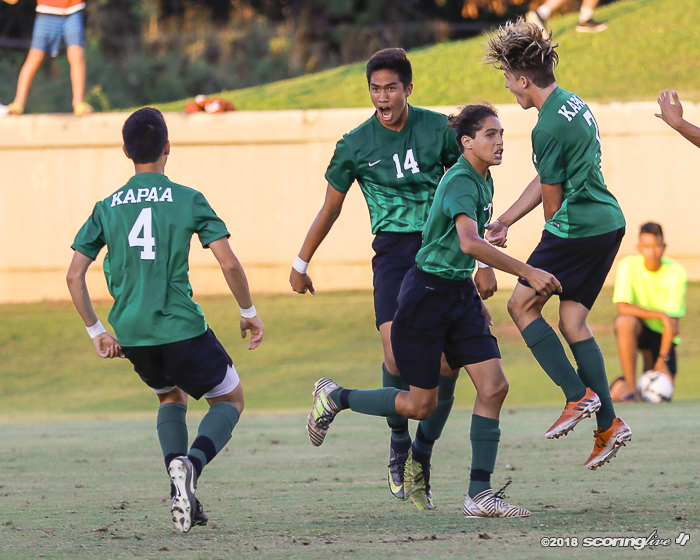 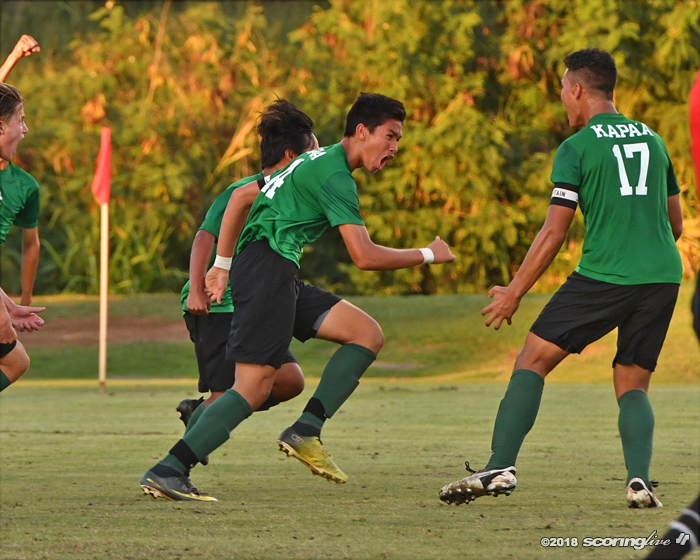 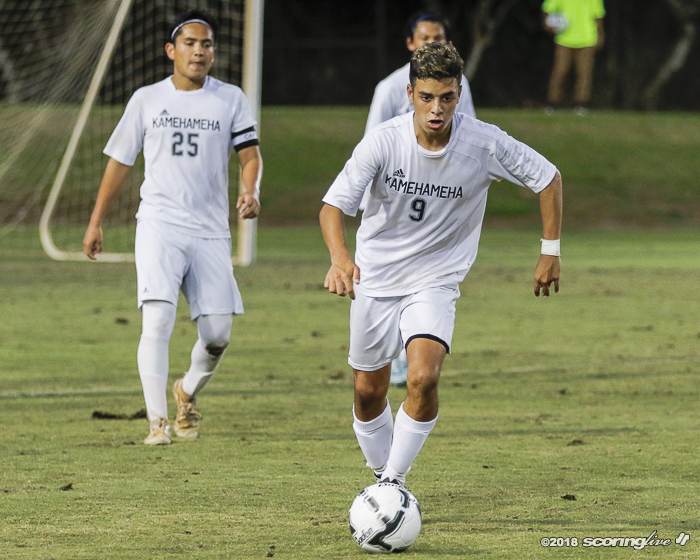 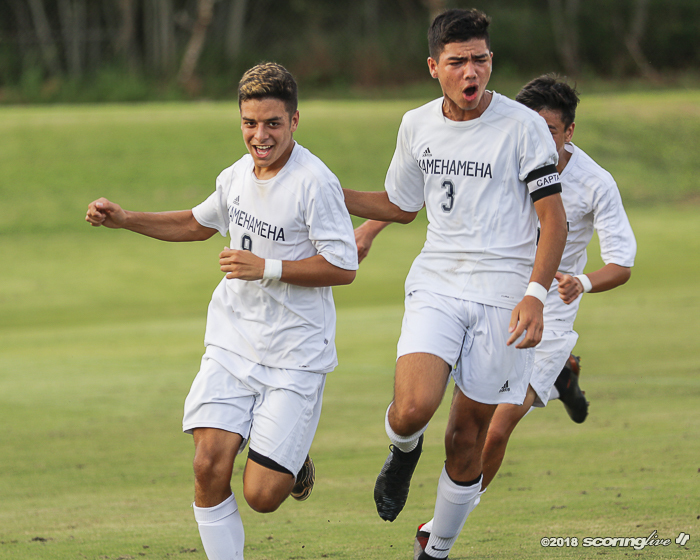 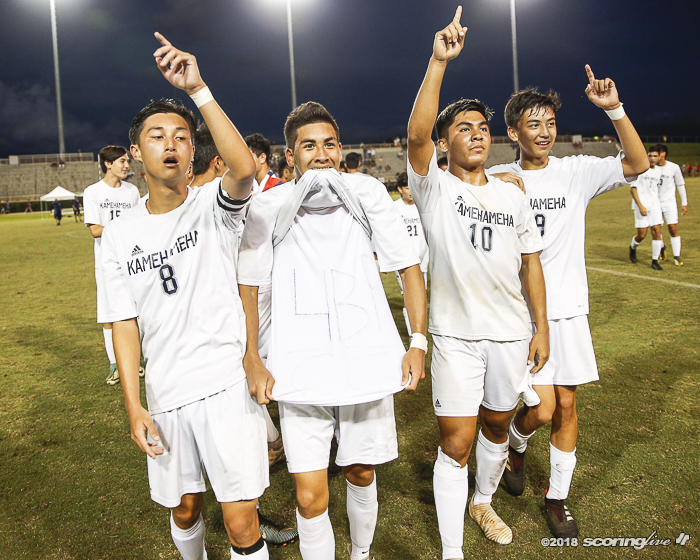 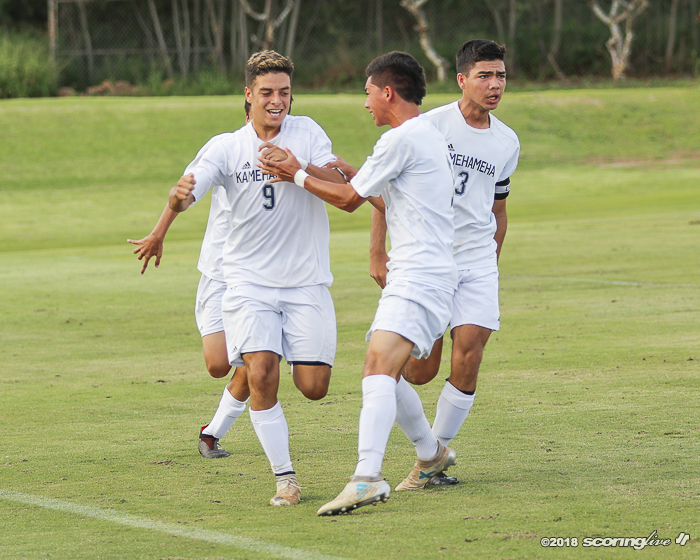 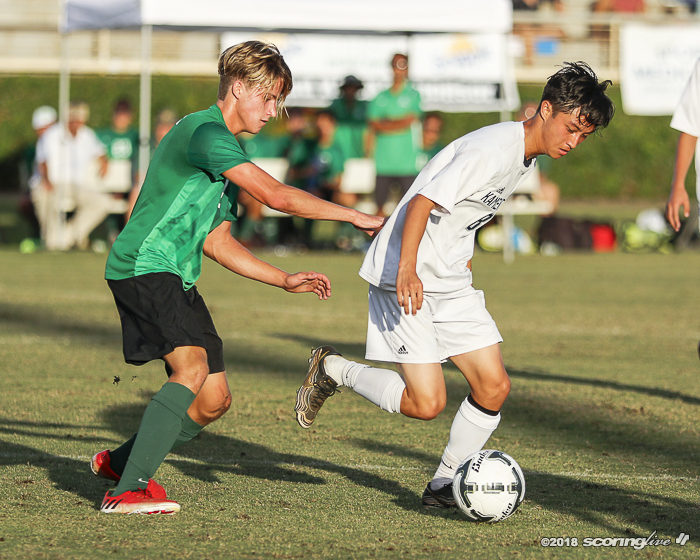 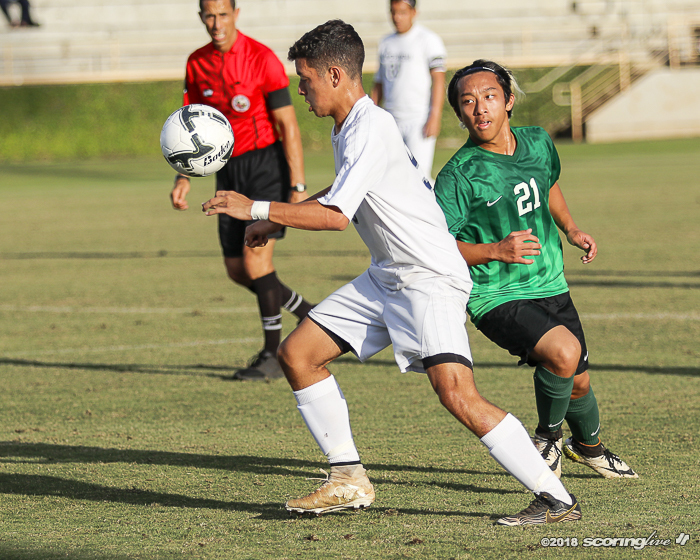 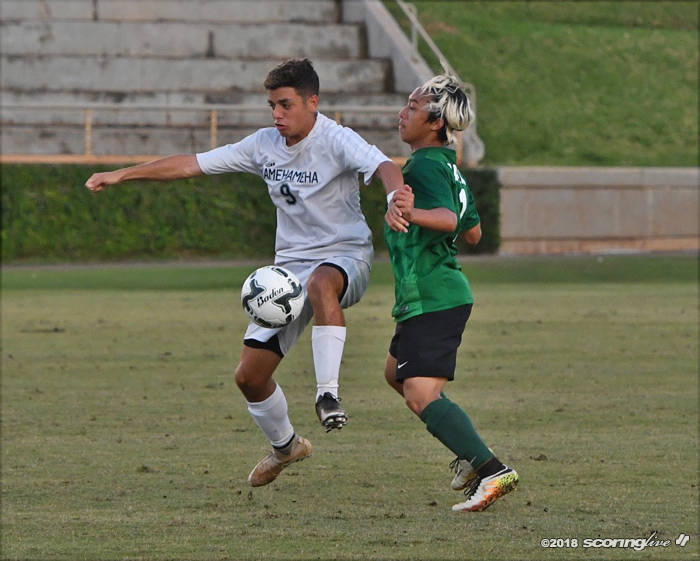 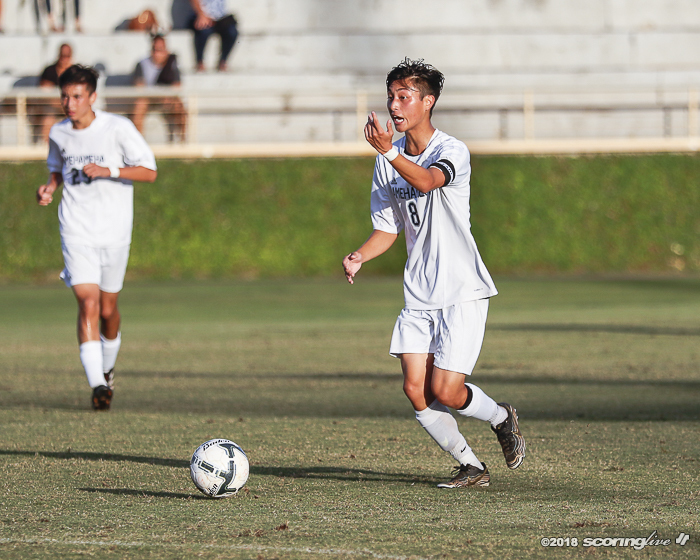 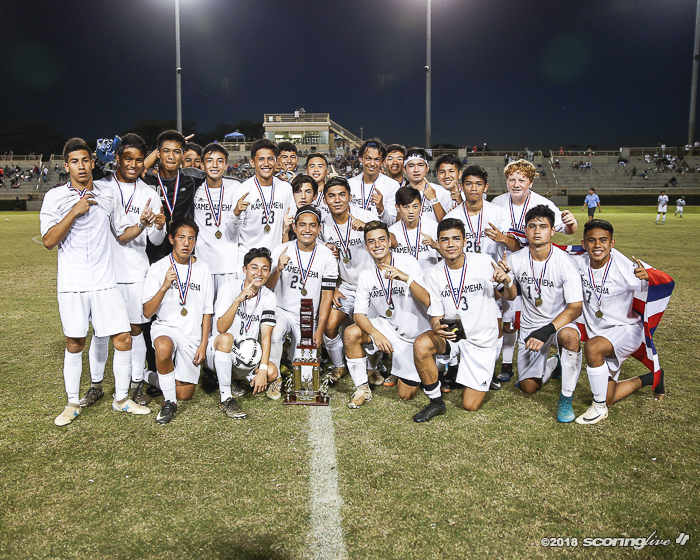 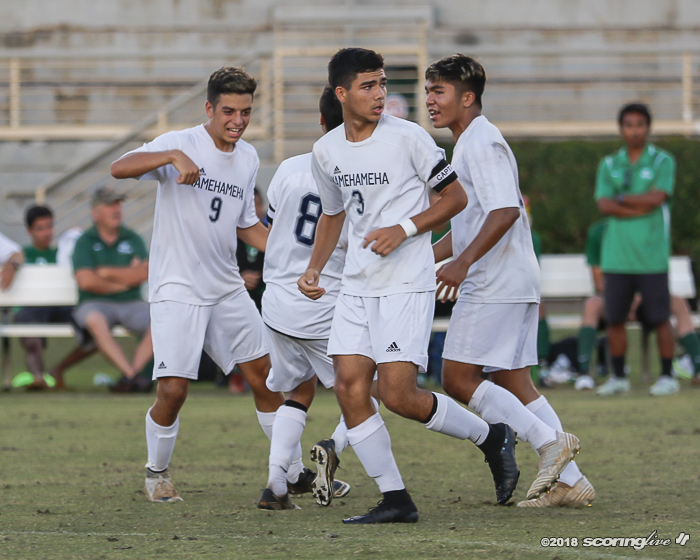 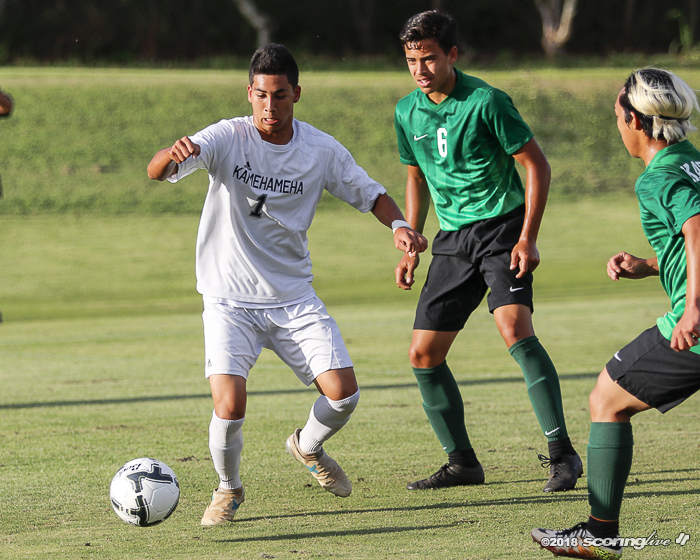 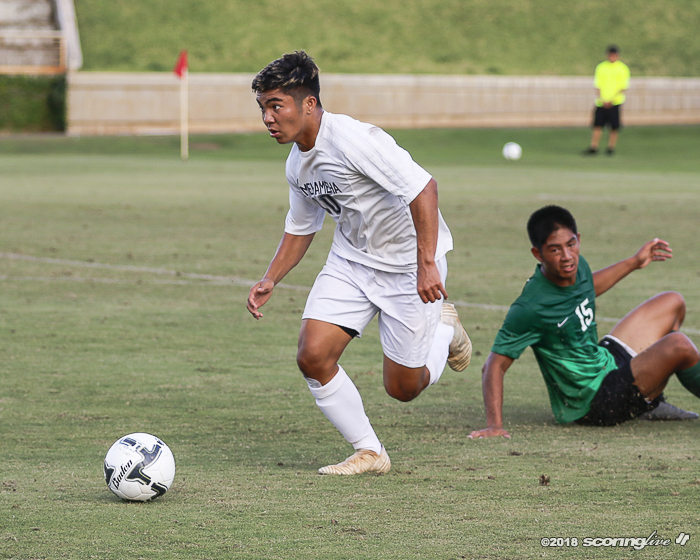 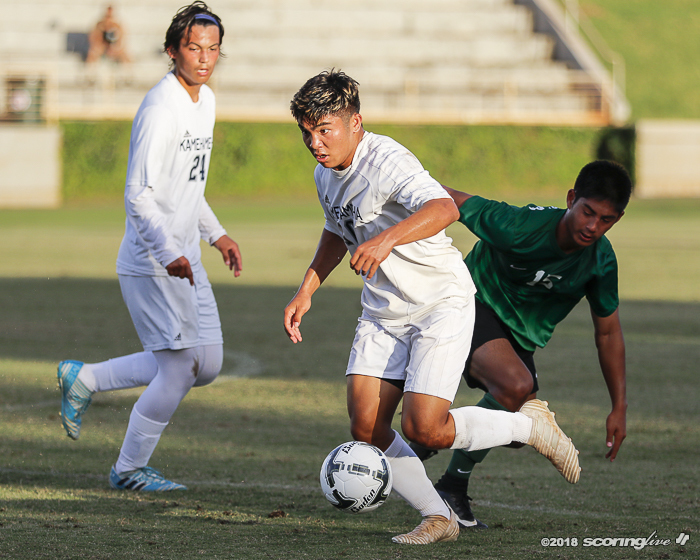 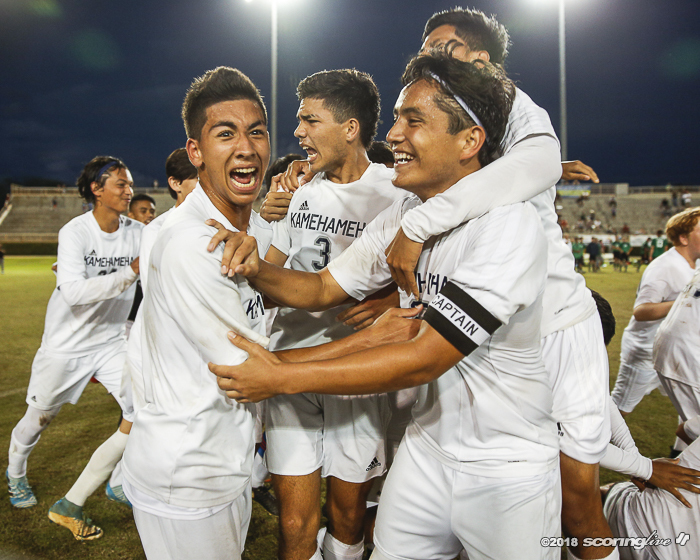 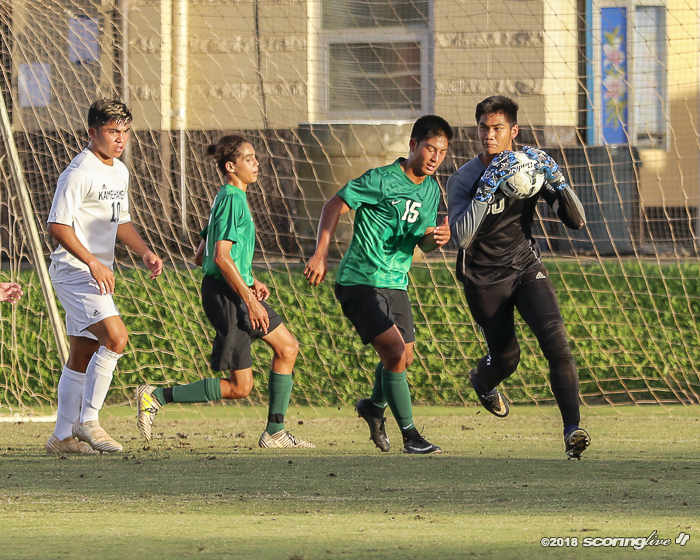 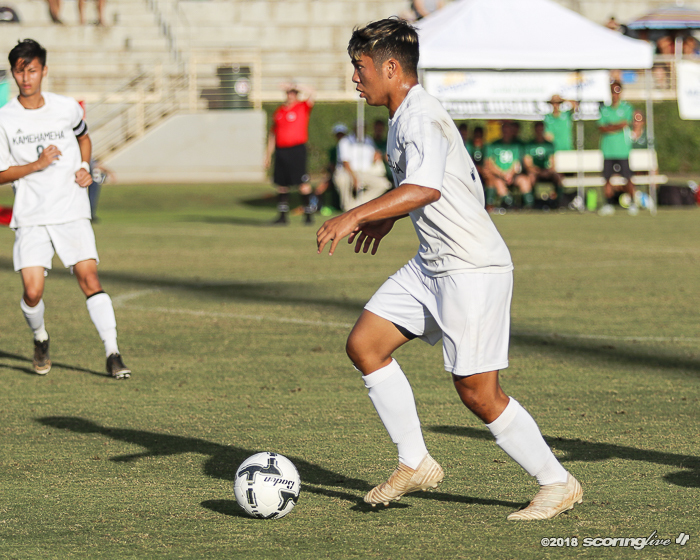 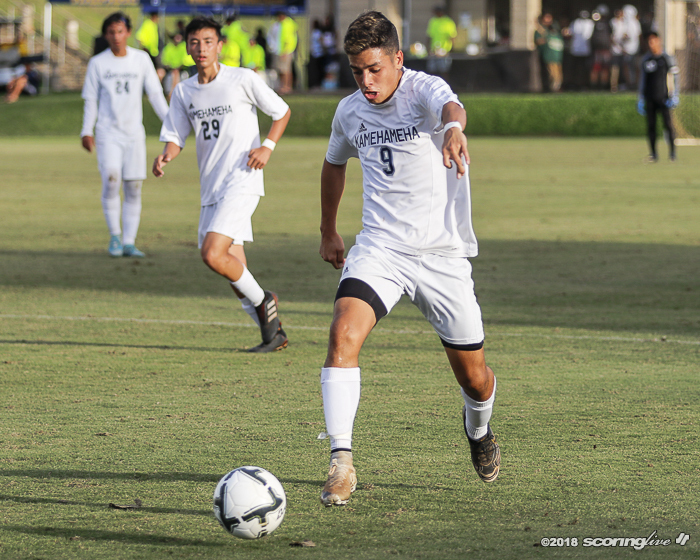 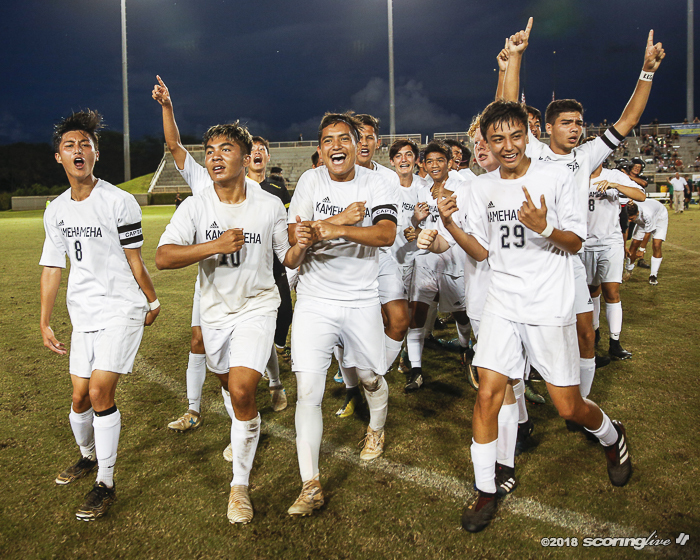 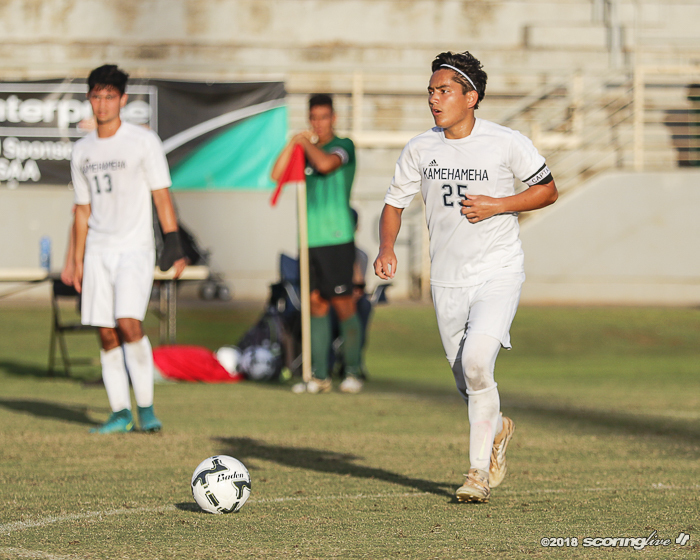 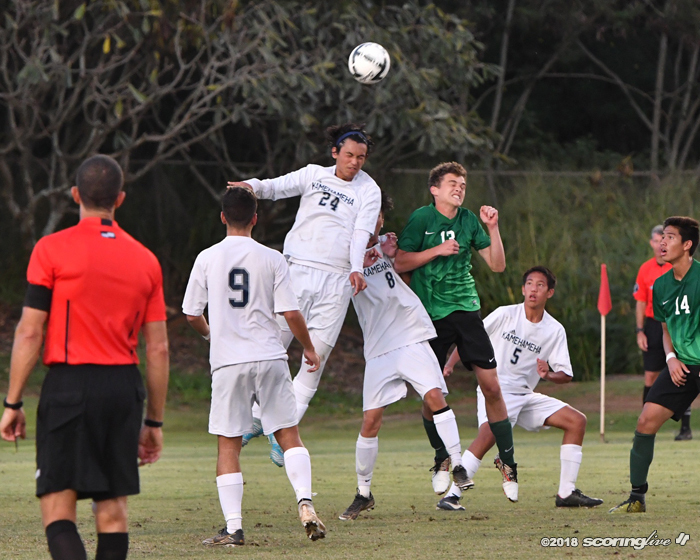 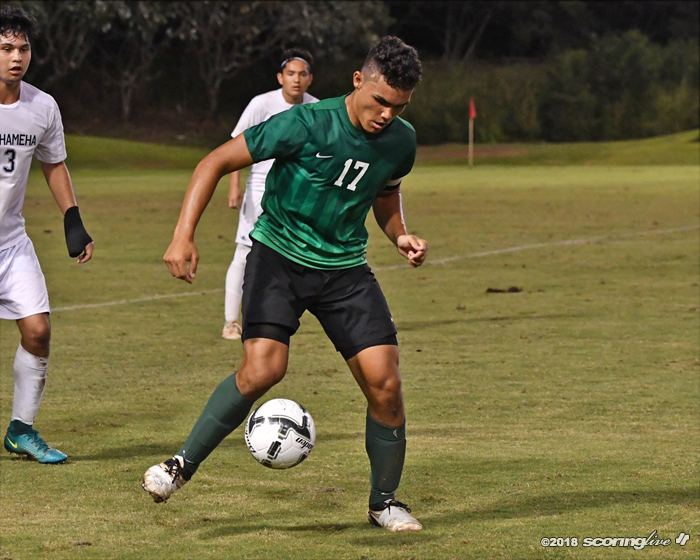 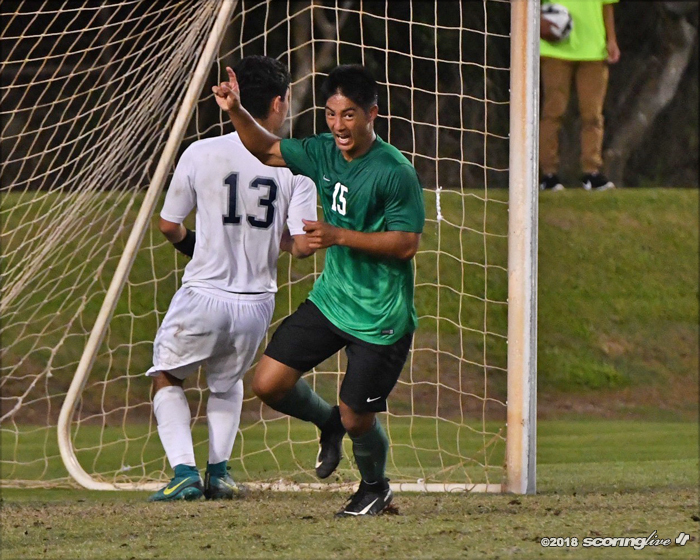 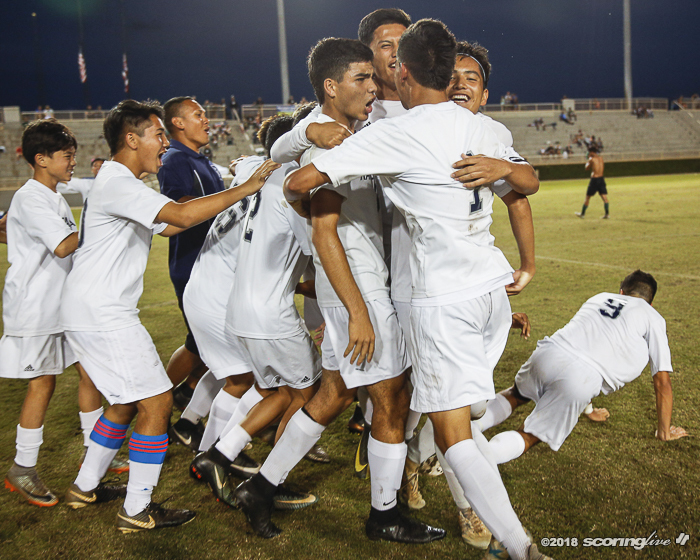 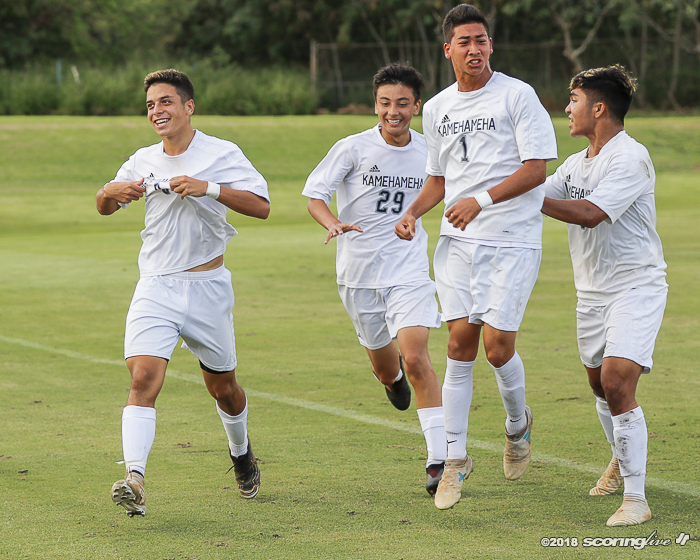 Jonathan DeMotta's penalty kick in the final minute of regulation gave the Big Island Warriors a 3-2 heart-thumping win against the Garden Isle Warriors Saturday for KS-Hawaii's first The Queen's Medical Center/HHSAA Division II state boys' soccer crown. 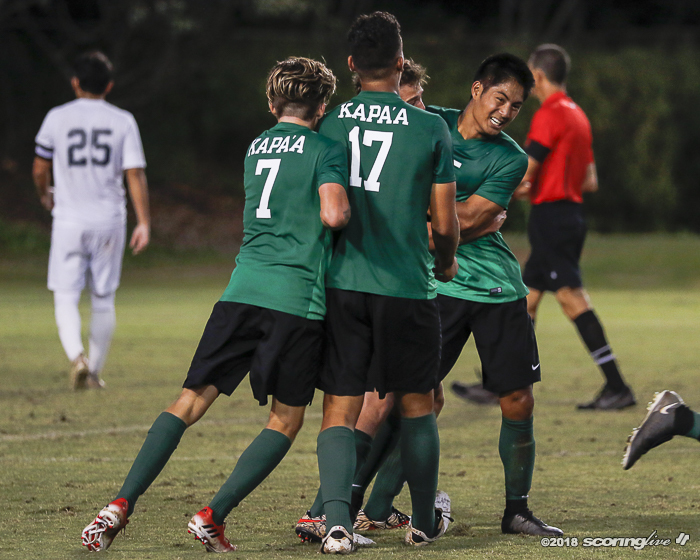 Kapaa had just tied the game at 2 on a goal by Ryan Banasihan at the 79th minute. 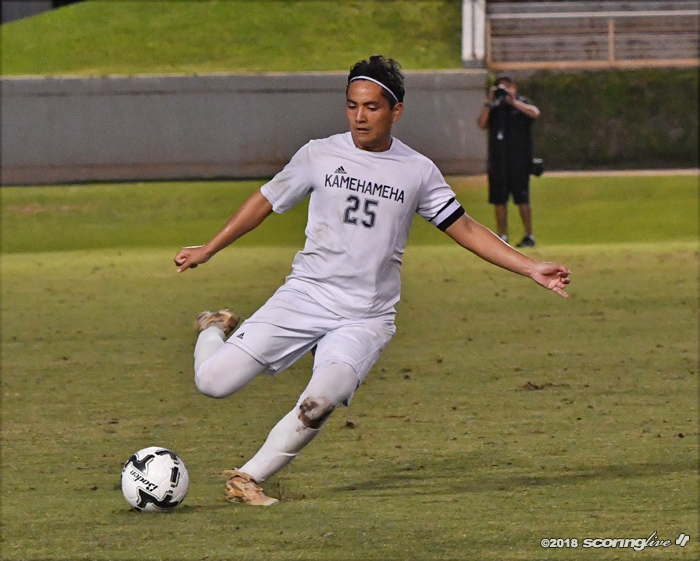 Seconds later, DeMotta was fouled in the penalty area, and his PK shot past Kapaa keeper Chysen Lagunes-Rapozo broke the deadlock. 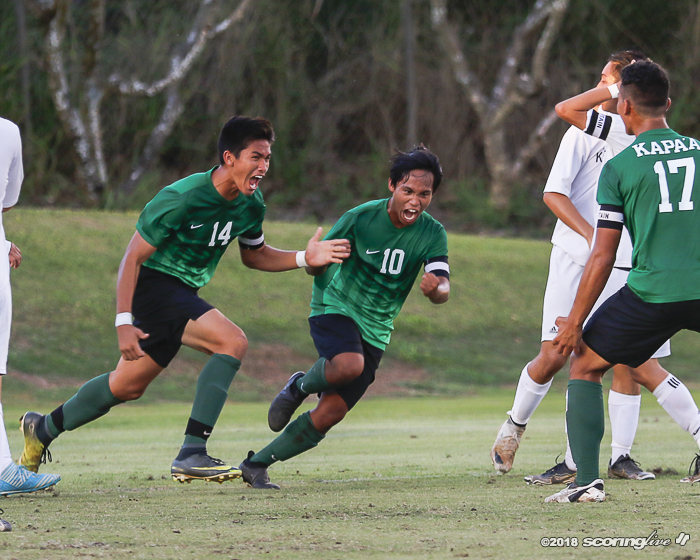 About 20 seconds later, DeMotta took another shot from five yards that was wide left before time ran out on the Kauai Interscholastic Federation champions. 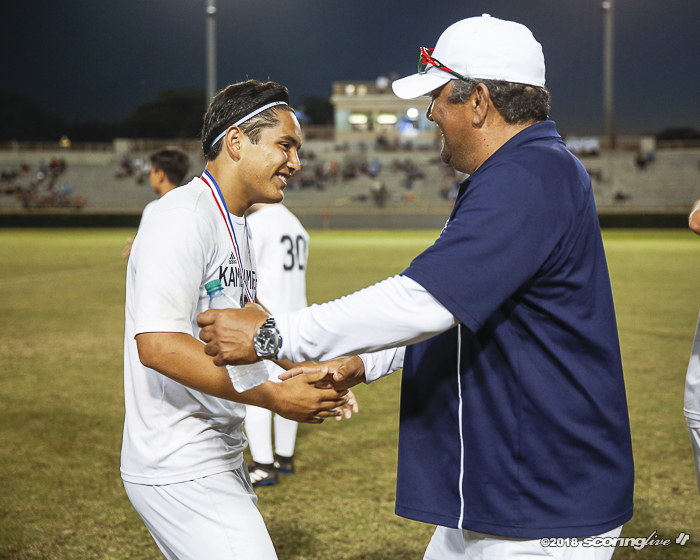 "I was super nervous, actually, because so much pressure was on me," DeMotta said. 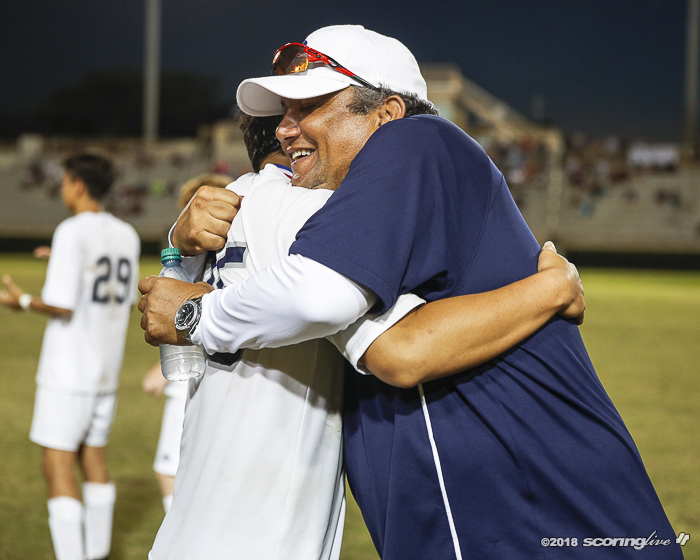 "But the team just calmed me down, walked me through it and it helped me. 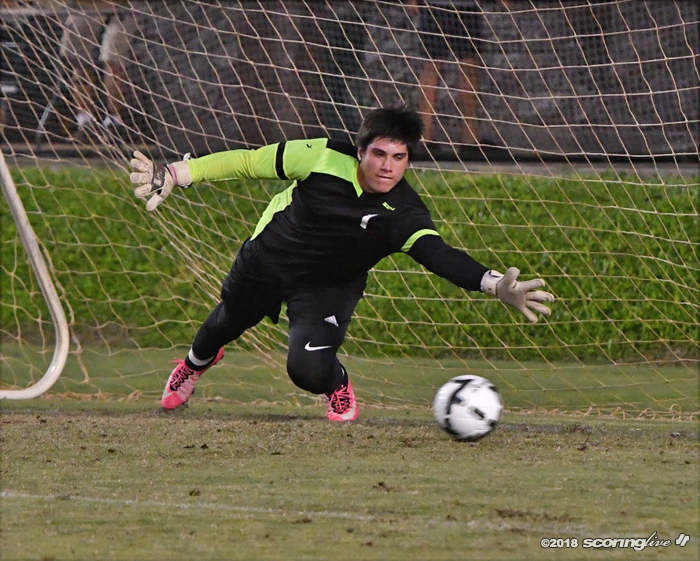 I just put it away." 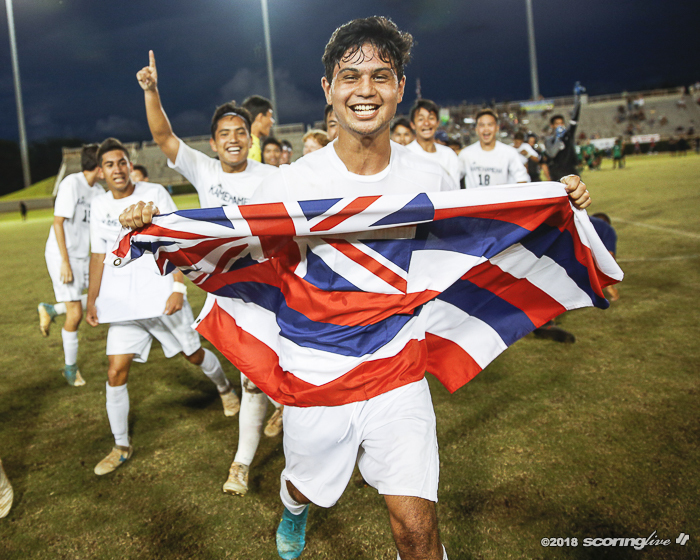 It was a well-played battle in the all-Neighbor Island affair. 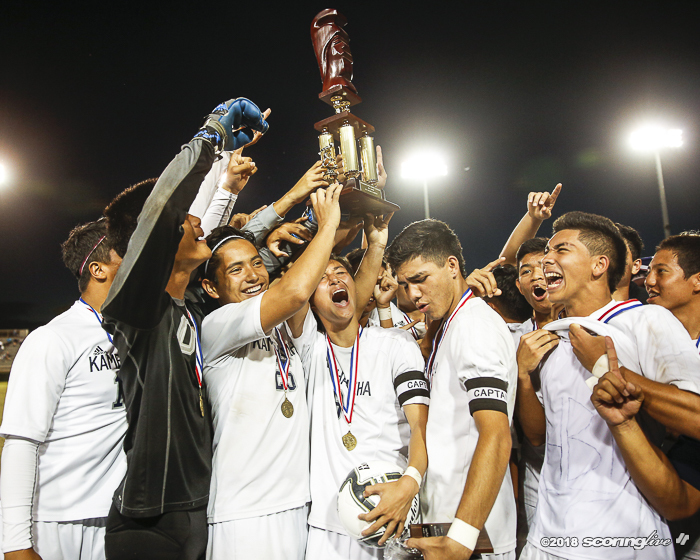 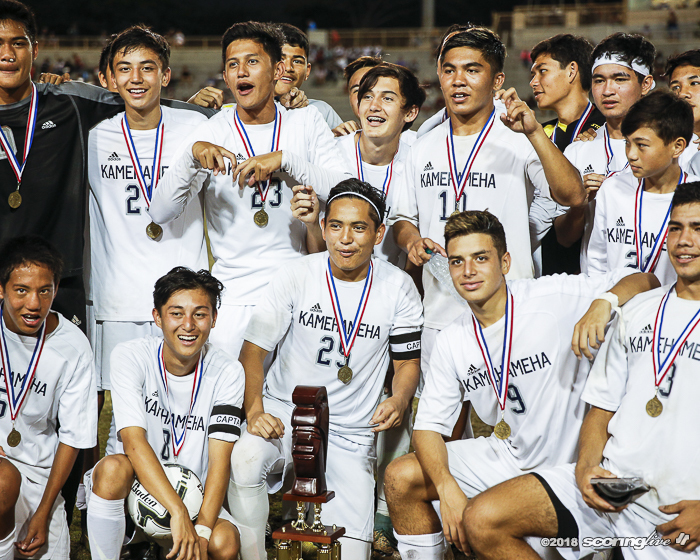 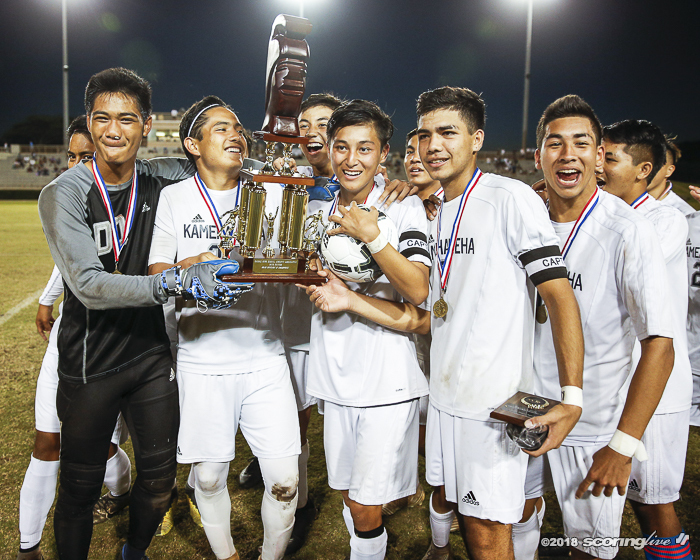 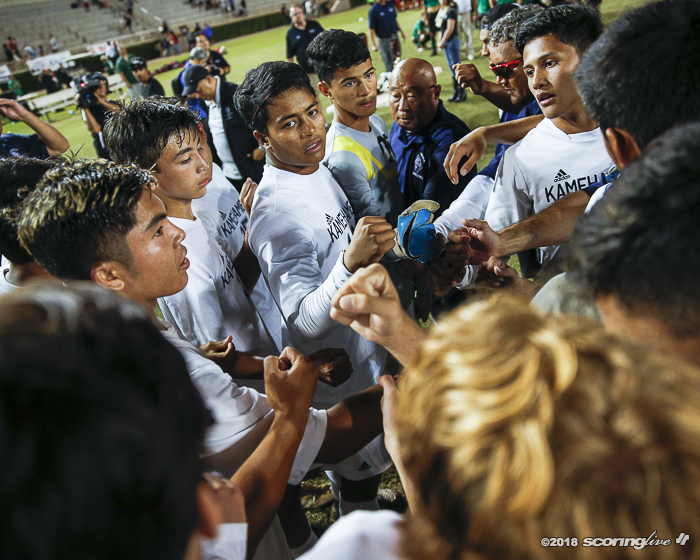 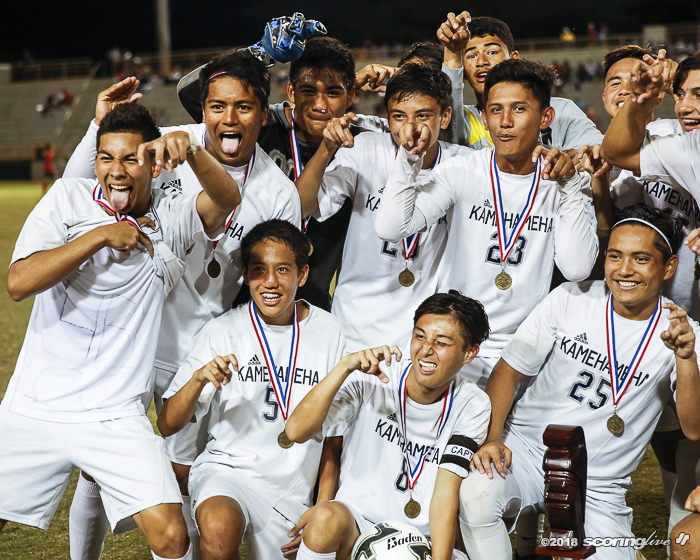 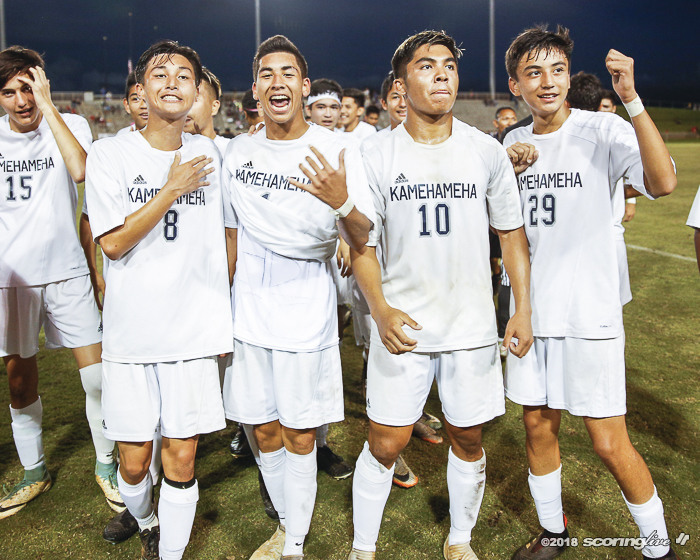 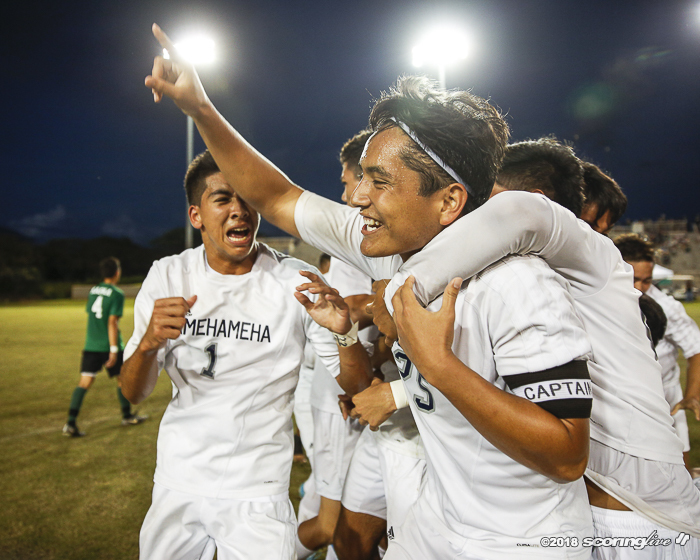 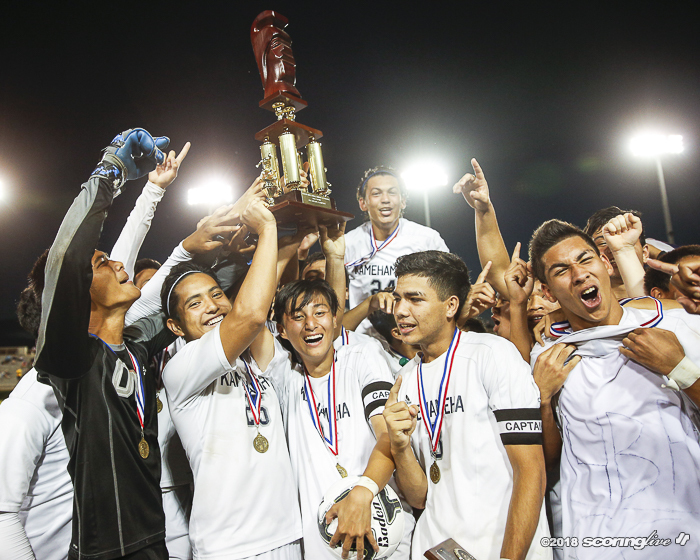 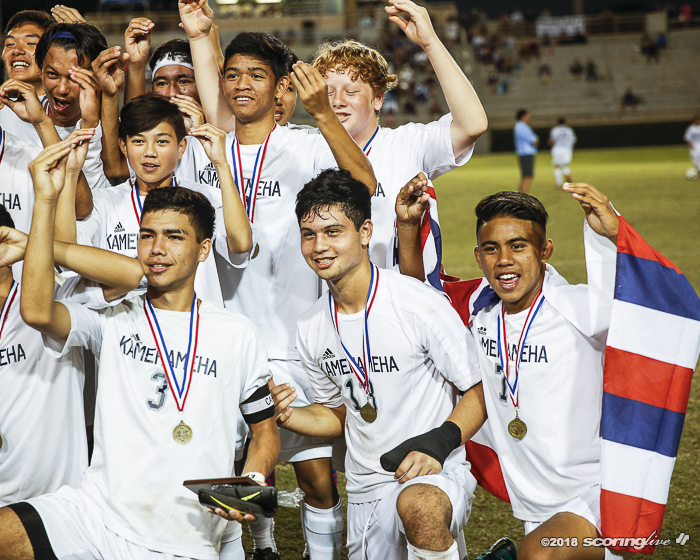 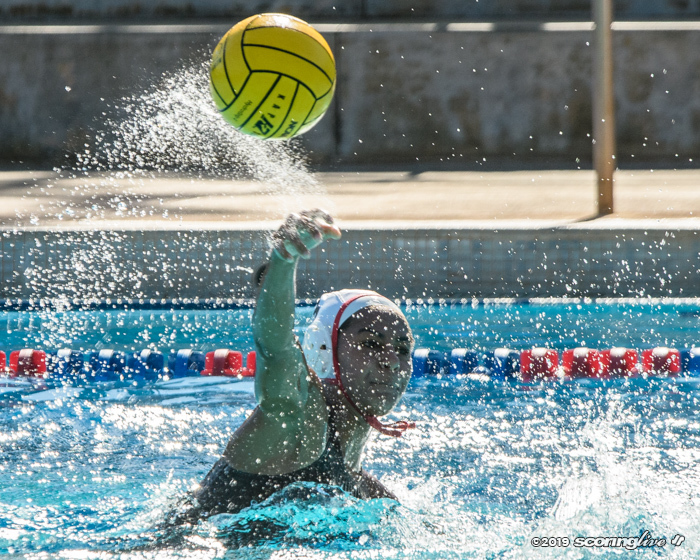 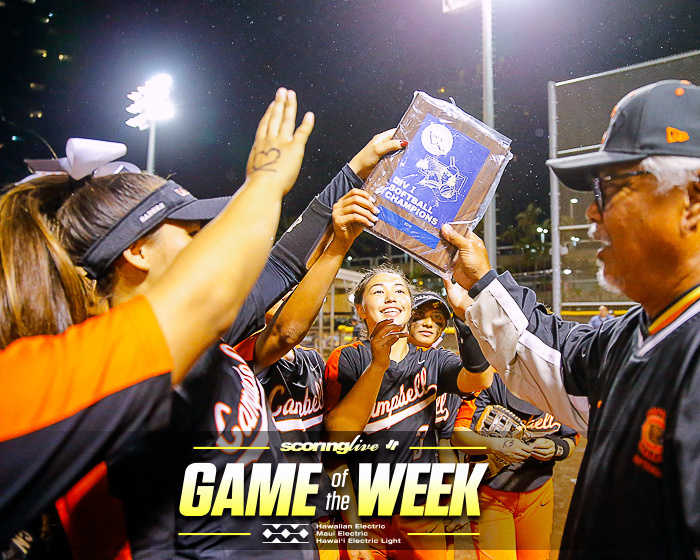 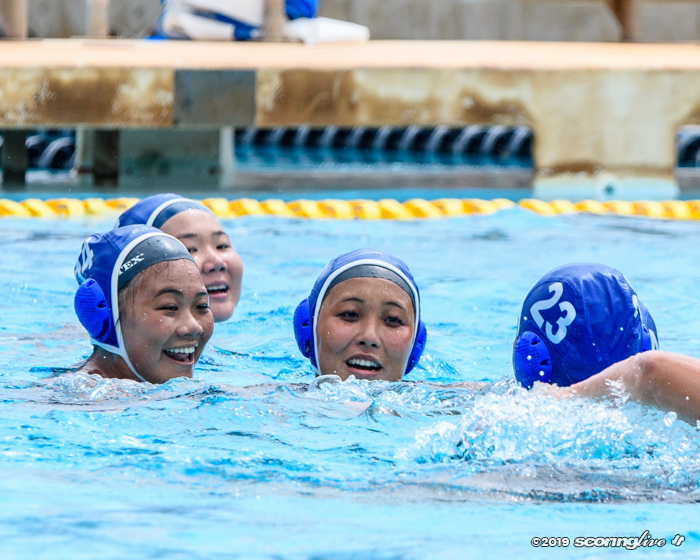 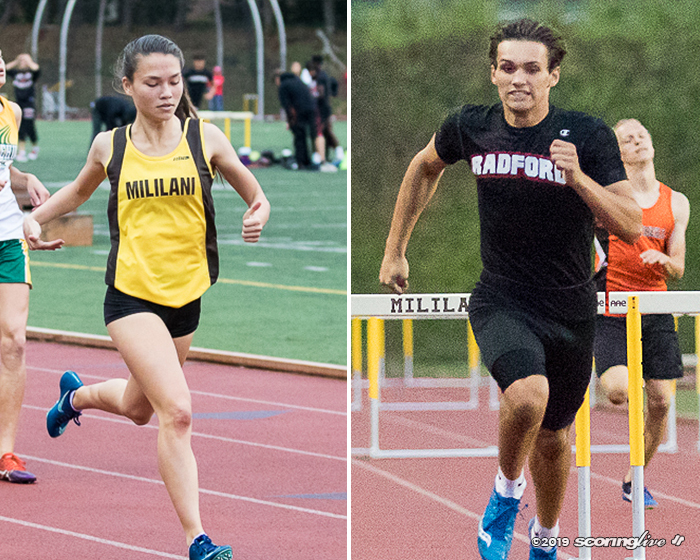 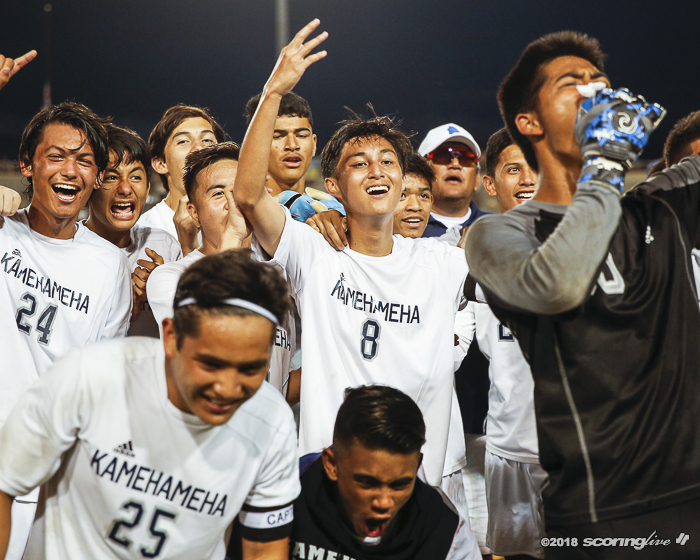 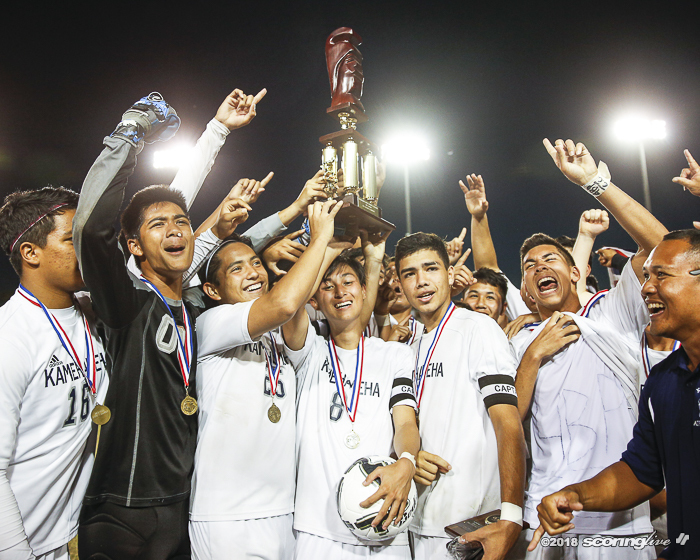 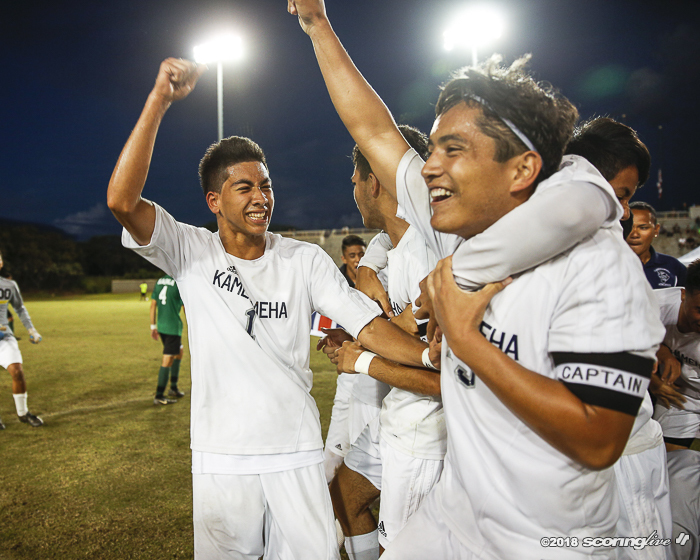 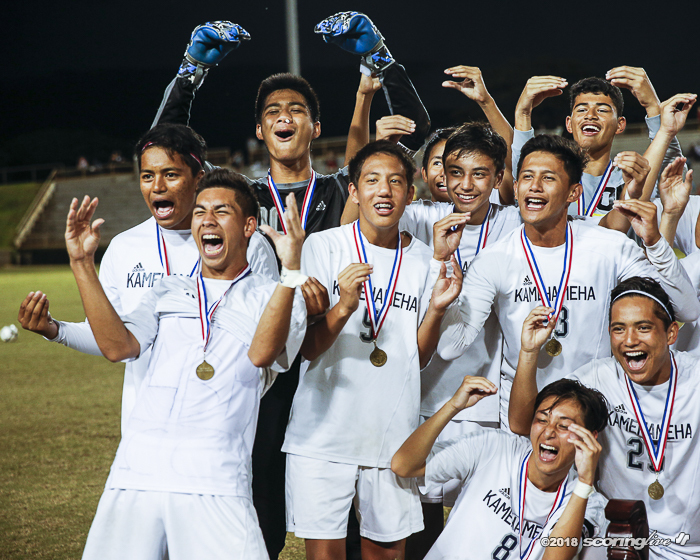 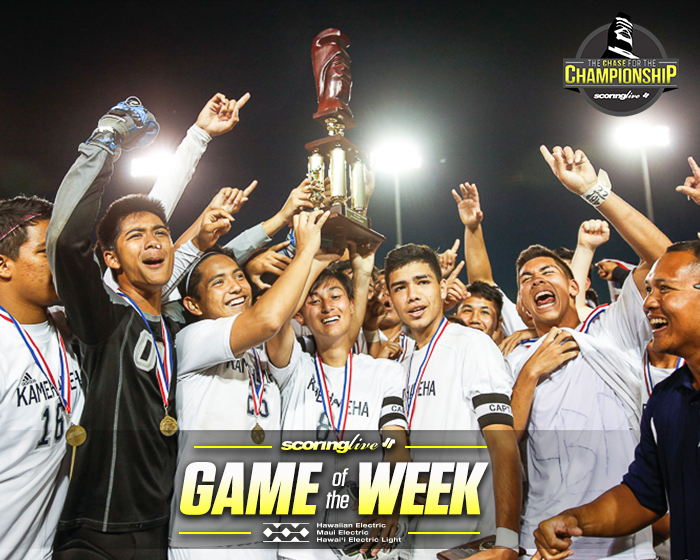 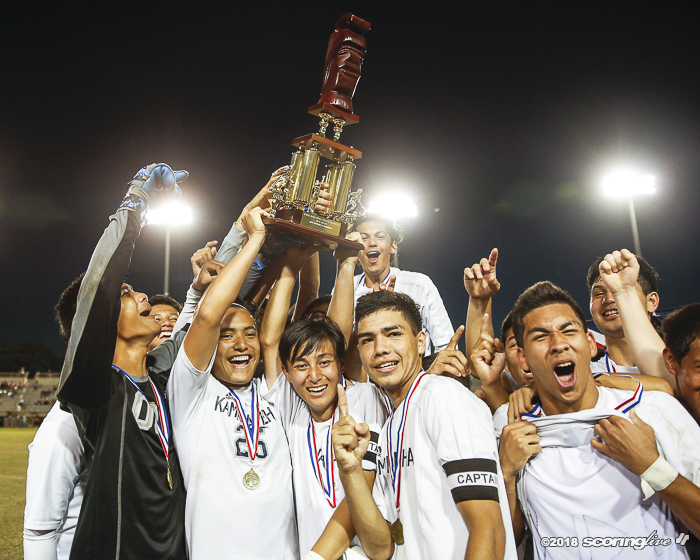 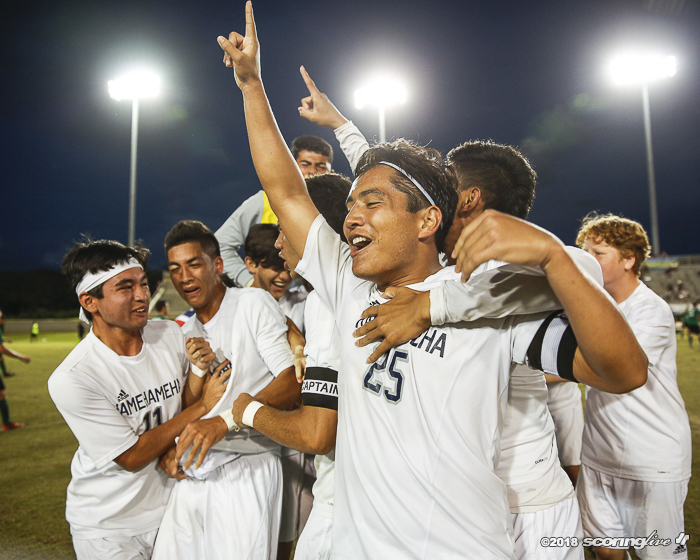 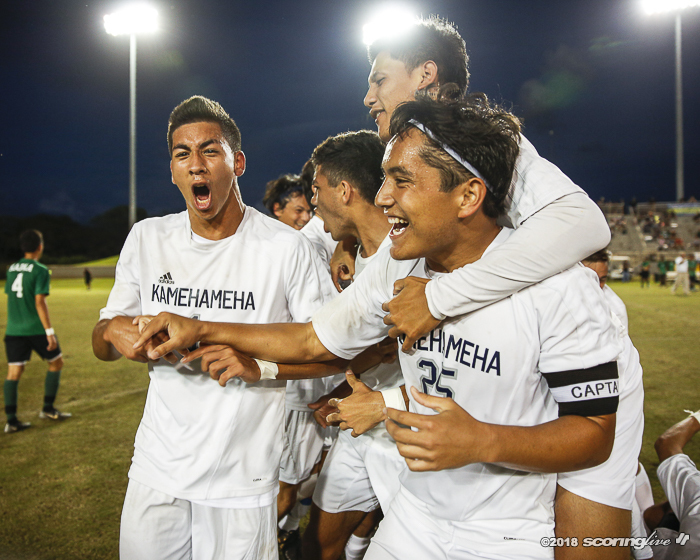 Kapaa was seeking its first title since 2013 and second overall. 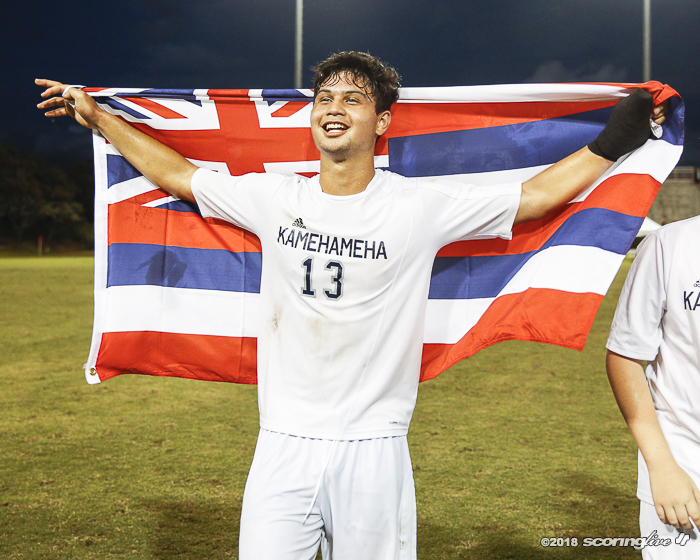 "It was amazing," said senior David Erskine, who also played on two KS-Hawaii squads that finished second in 2015 and 2016. 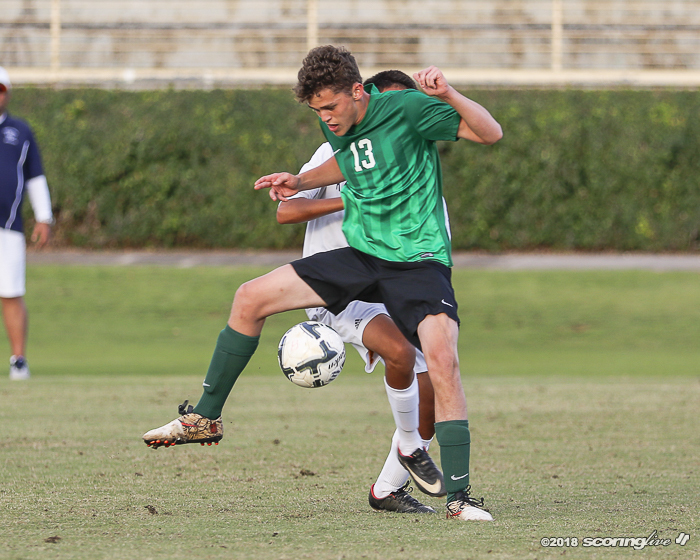 "Third time was the charm. 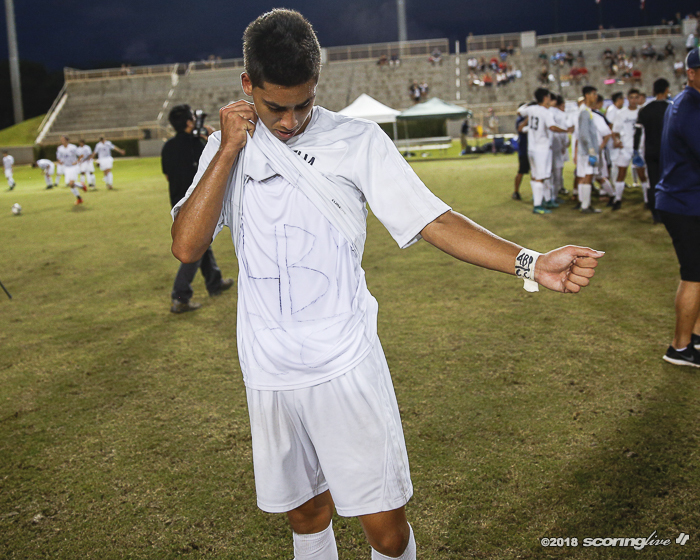 I going out with a bang." 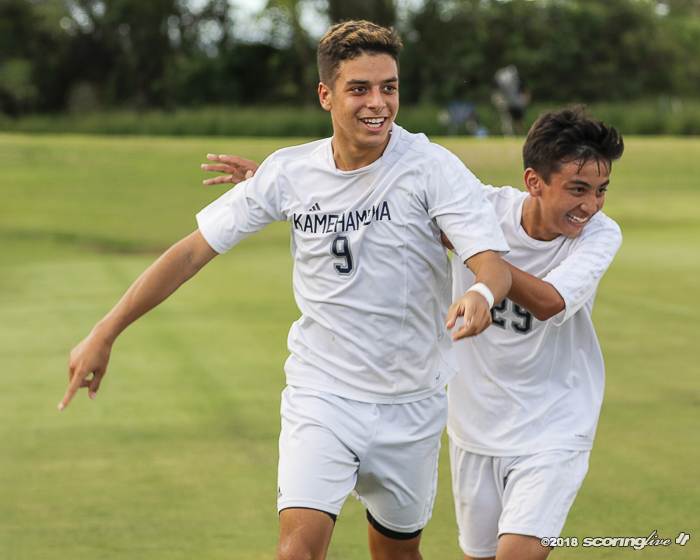 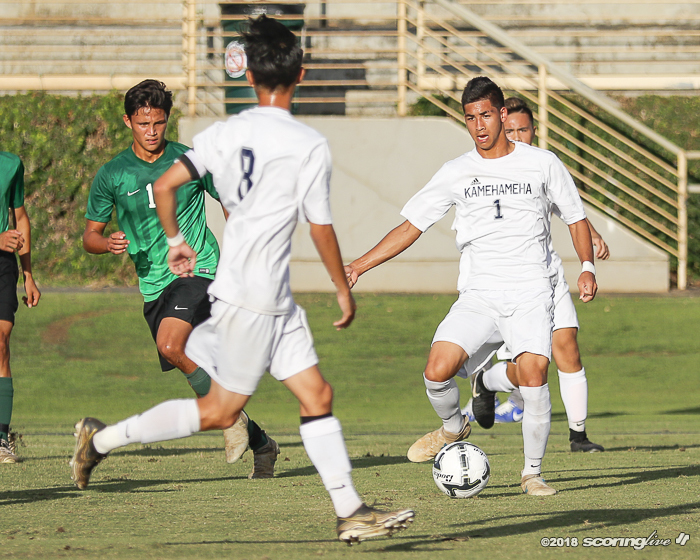 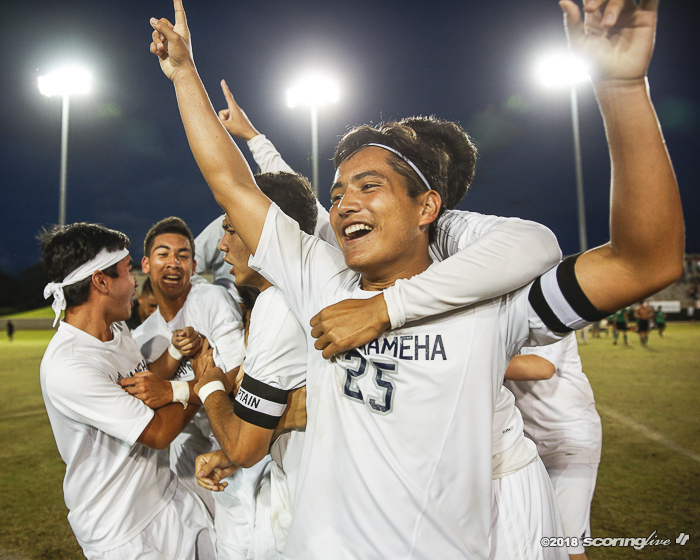 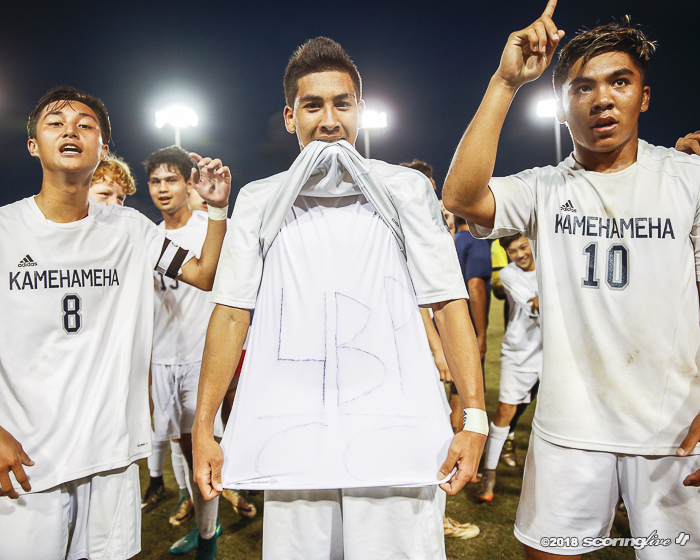 Kamehameha-Hawaii coach Kevin Waltjen and Kapaa's Kevin Cram were pleased with the effort of their respective teams. 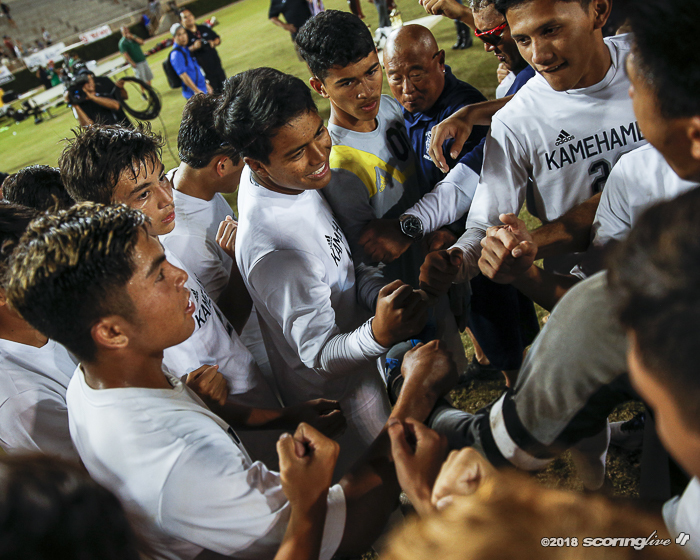 "They did quite well, better than I expected," Cram said of his Warriors. 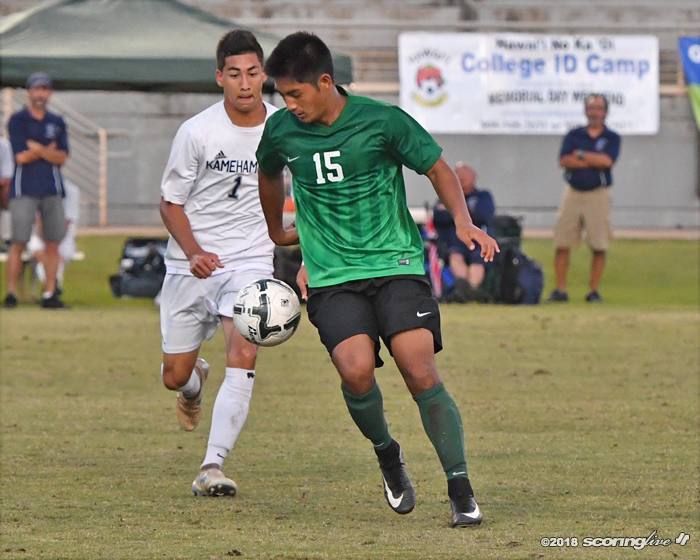 "We had a rough start at the beginning of the season and slowly got better. 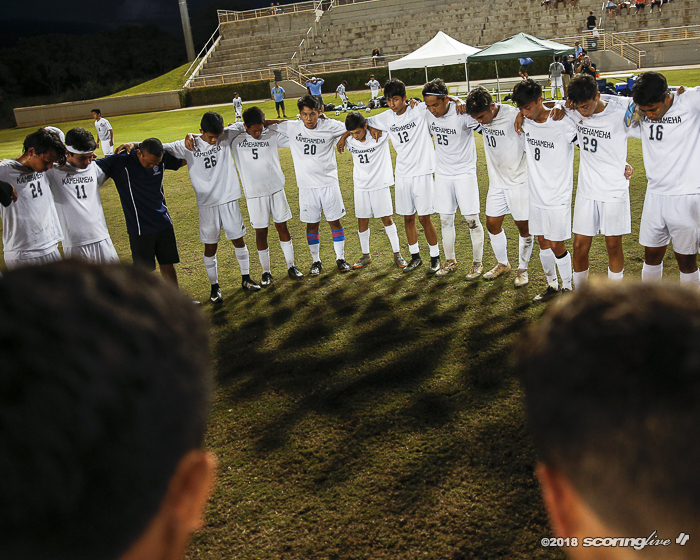 The fact that they were competitive and played as well as they did, I'm happy with that." 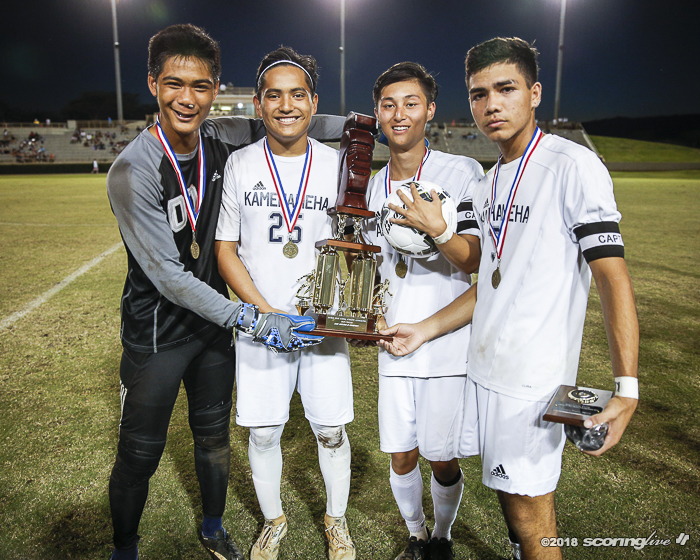 "It was a beautiful game," Waltjen said. 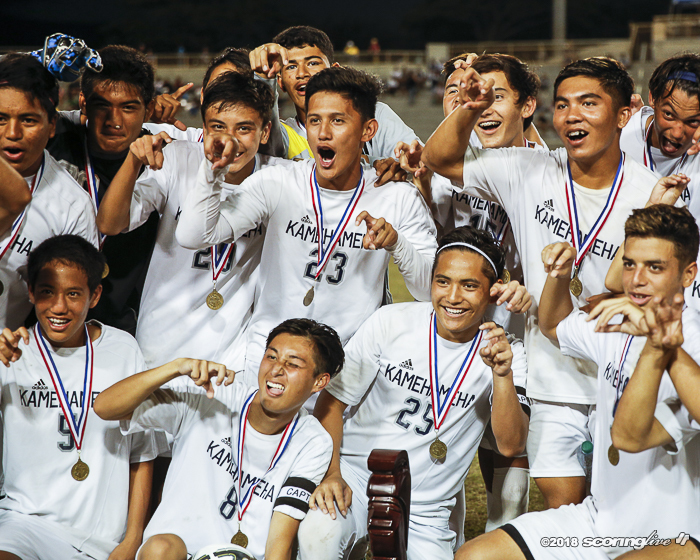 "When you have two teams fighting back and forth, trying to win that koa trophy. 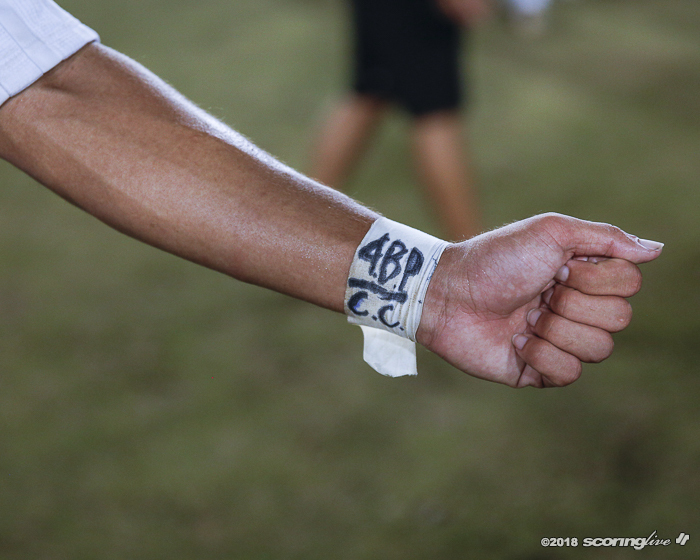 It's a beautiful match. 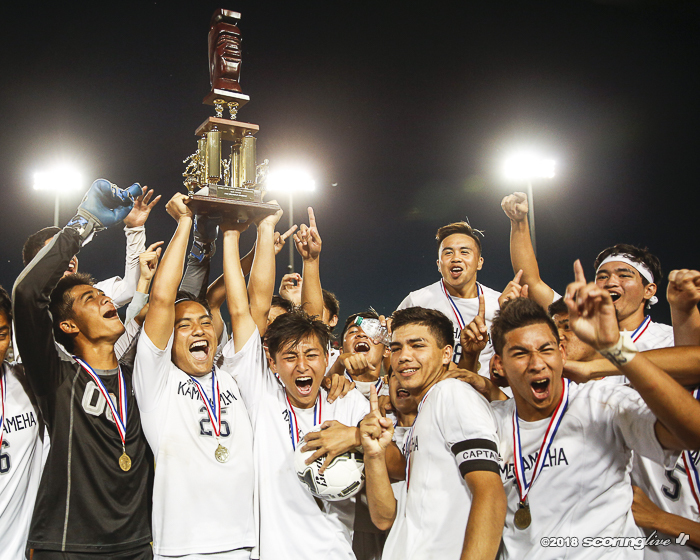 Nobody can ask for a better final like that. 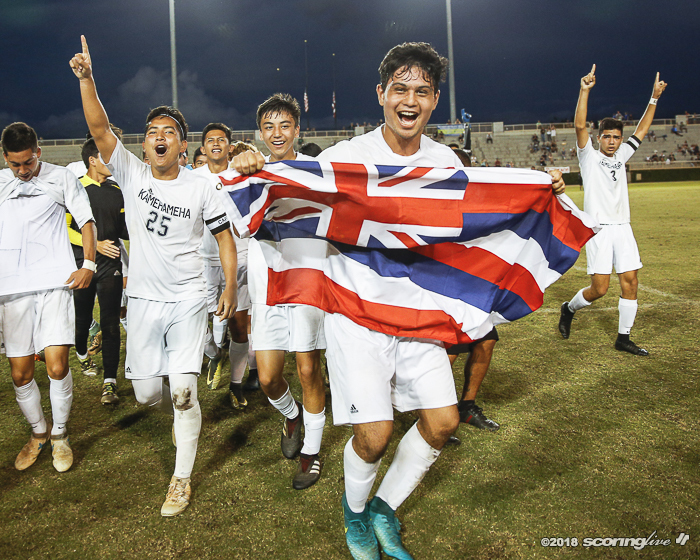 These boys (KS-Hawaii) and those boys (Kapaa) deserve everything because they left everything on that field." 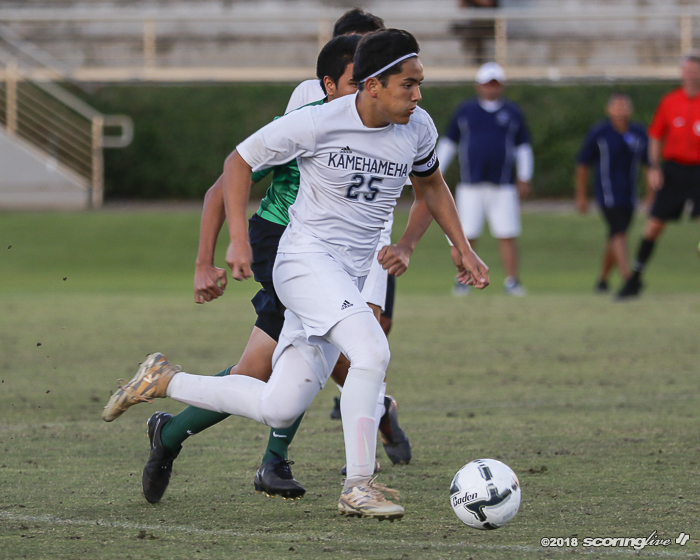 The Big Island Warriors controlled most of the game, taking 21 shots on goal to Kapaa's 11. 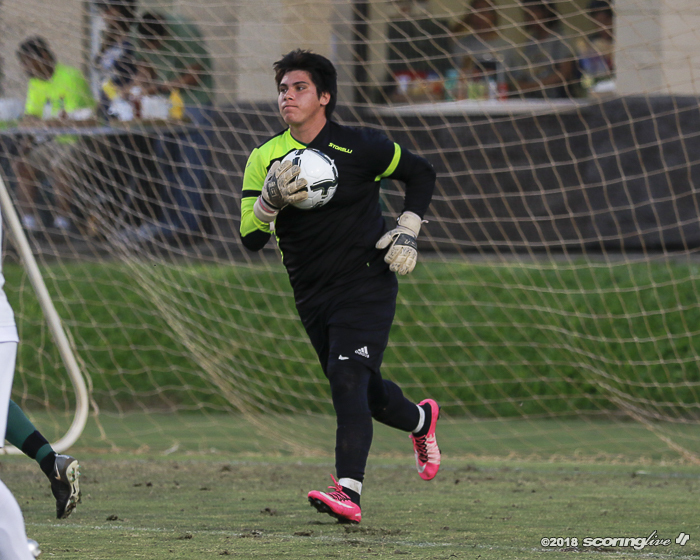 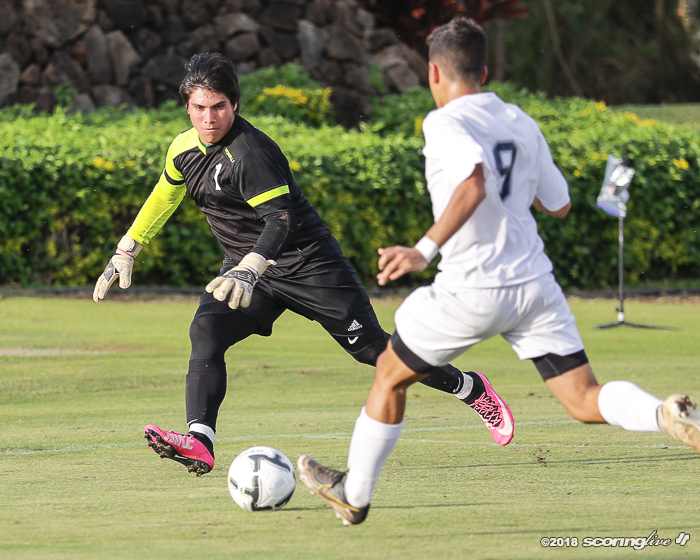 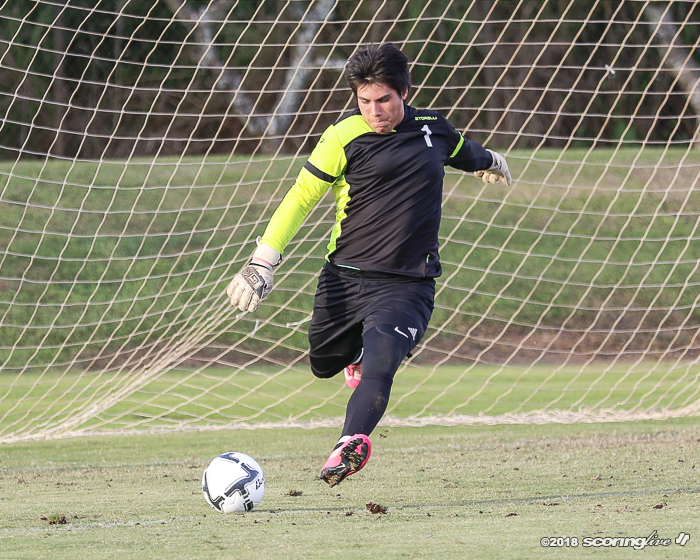 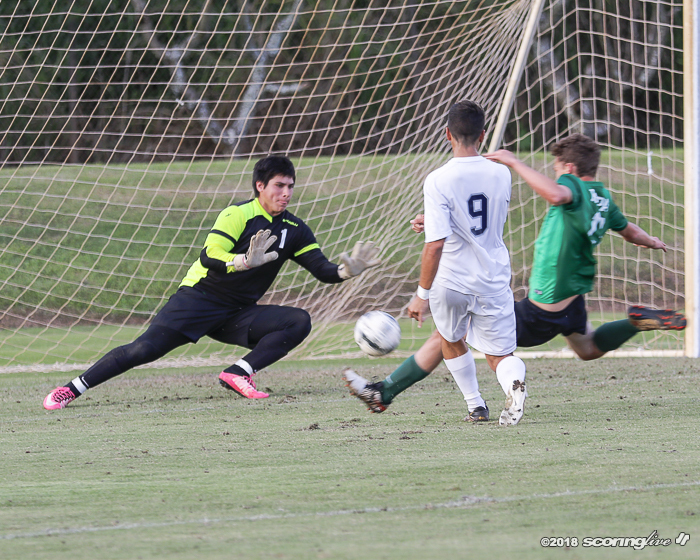 Kapaa keeper Lagunes-Rapozo registered 10 saves. 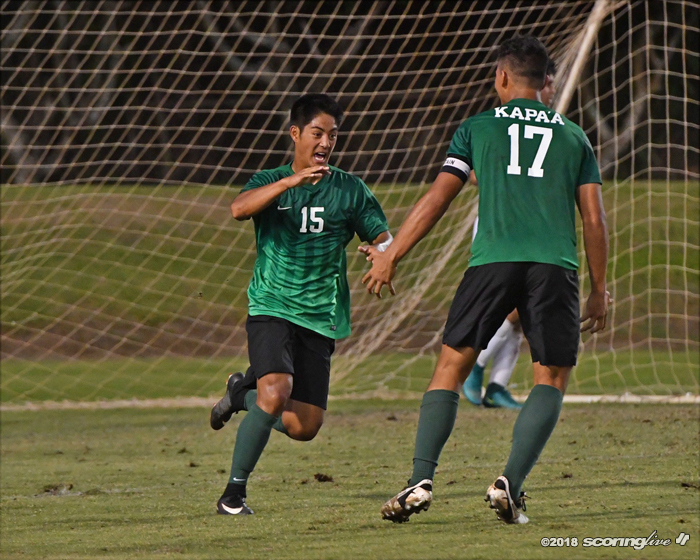 But of Kapaa's 11 shots, eight had to be saved by Jameson Sato. 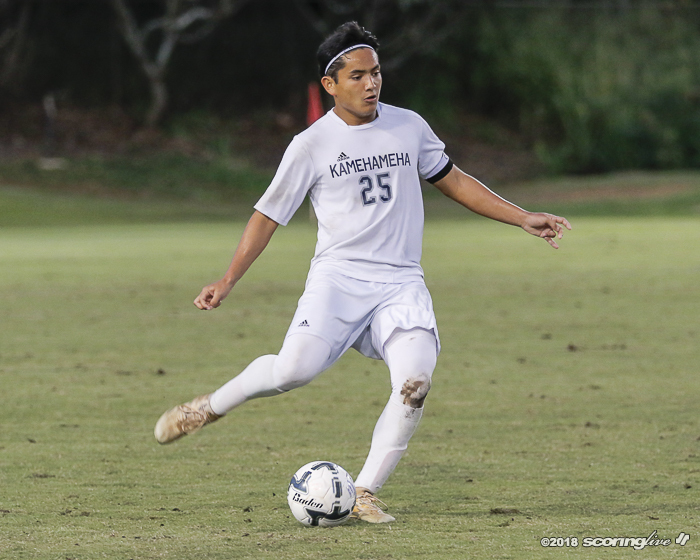 KS-Hawaii took a 1-0 lead in the 23rd minute on a shot by Erskine on a pass from DeMotta that deflected off Kapaa's Kalalea Jensen for the first of two own goals. 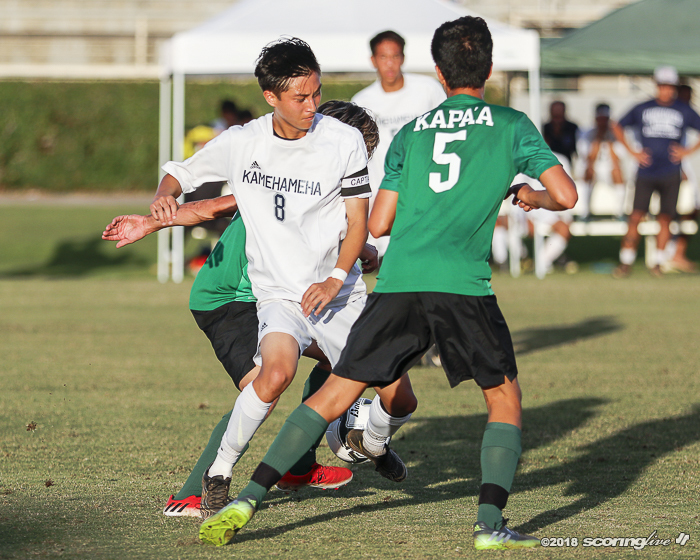 Both teams had their chances the rest of the first half, but Kapaa went into the break trailing. 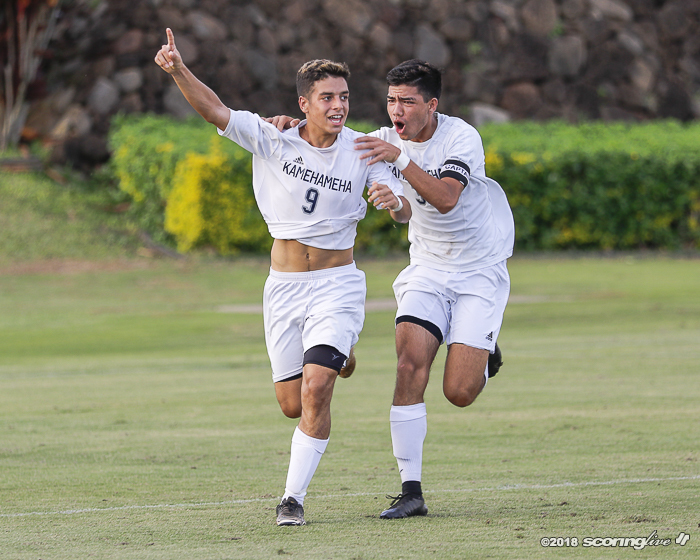 The Garden Islanders tied the match at 1 in the 50th minute when Kiran Costa, from five yards, headed in Laakea Gonsalves' corner kick. 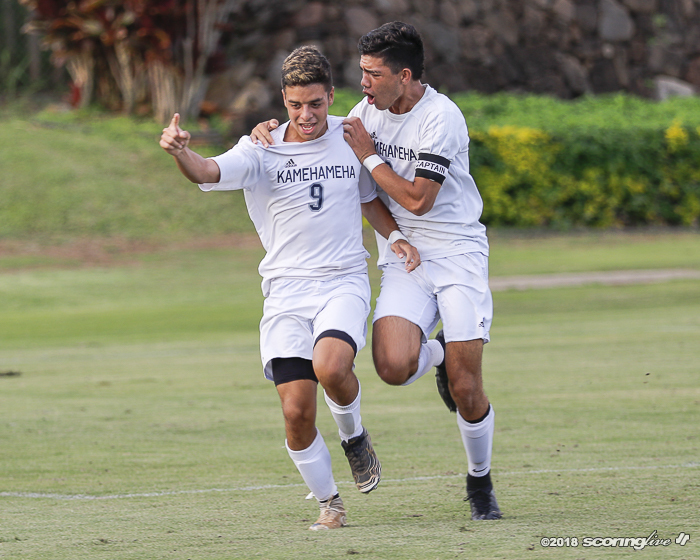 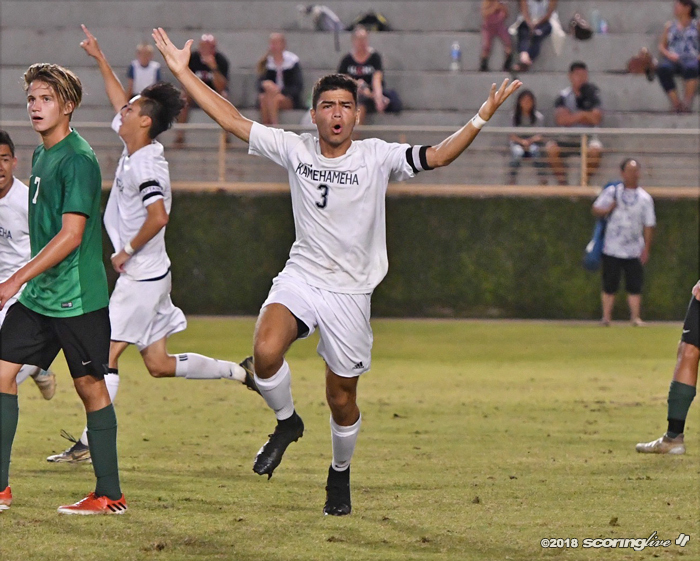 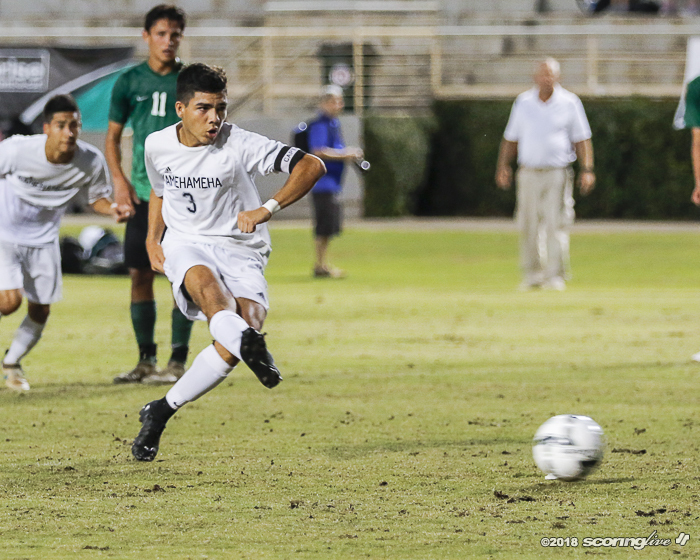 But five minutes later, Tyler Waltjen's direct kick from 20 yards deflected off keeper Lagunes-Rapozo for the team's second own goal that gave KS-Hawaii a 2-1 lead. 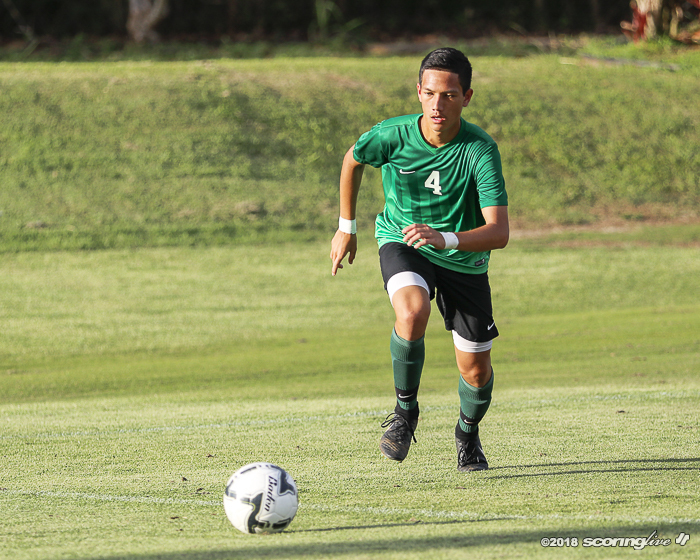 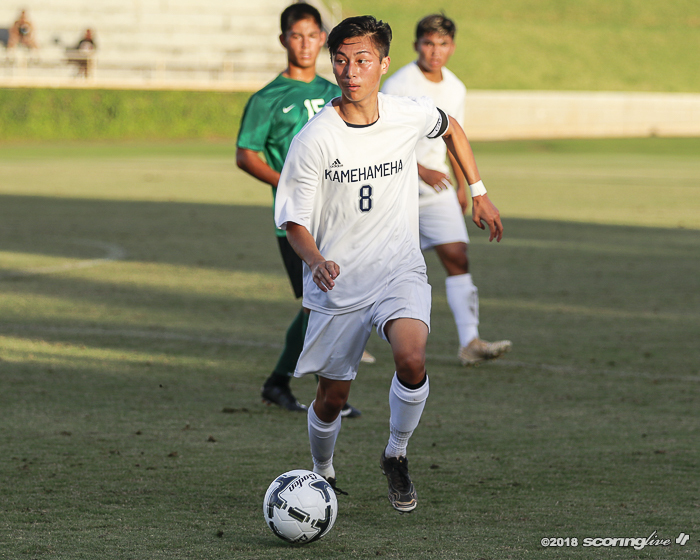 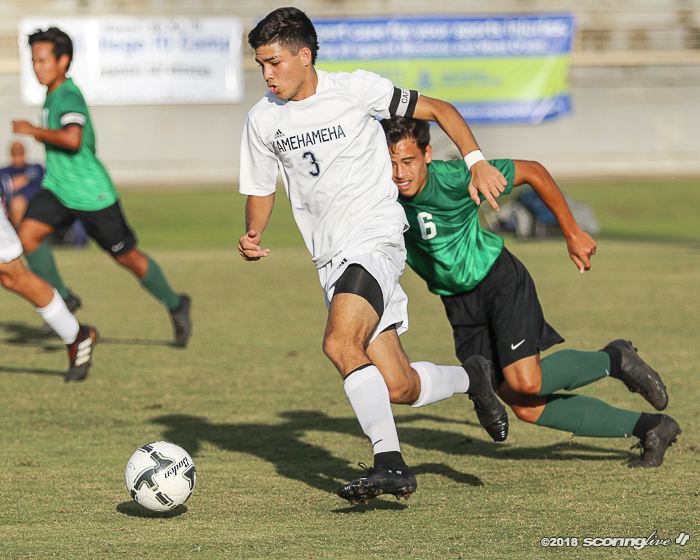 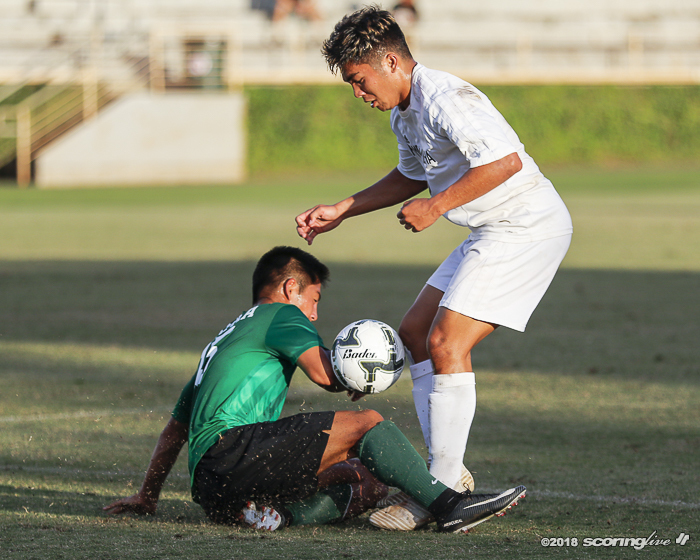 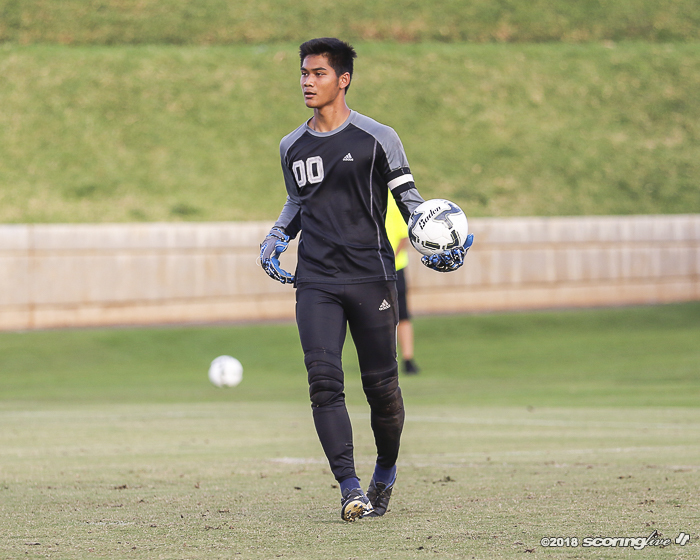 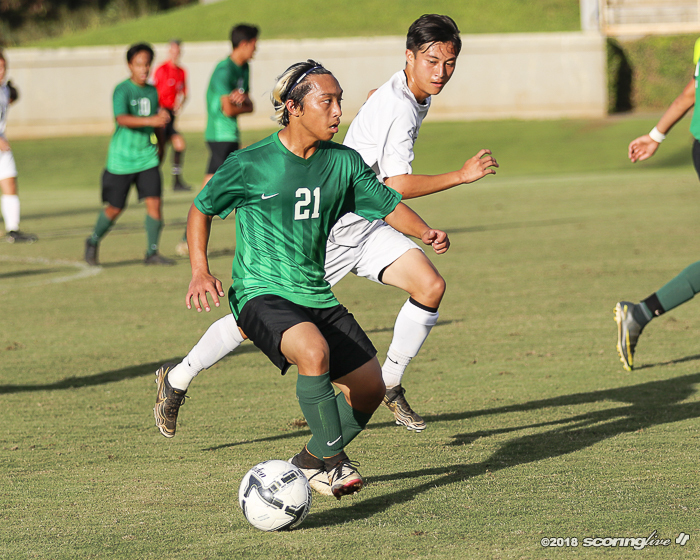 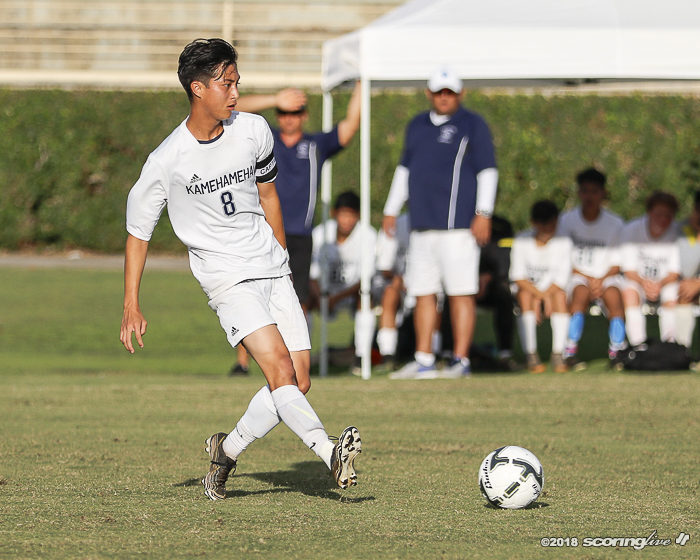 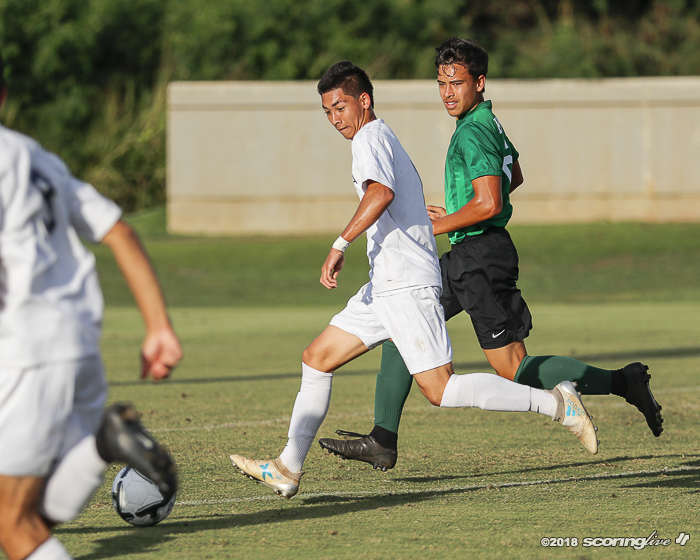 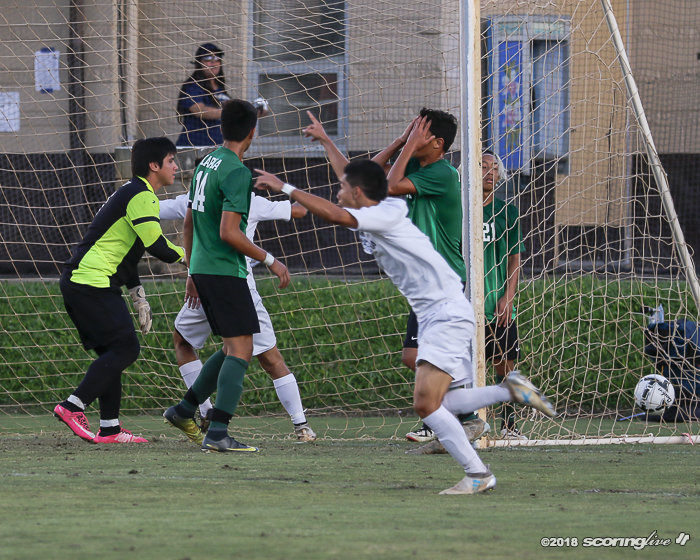 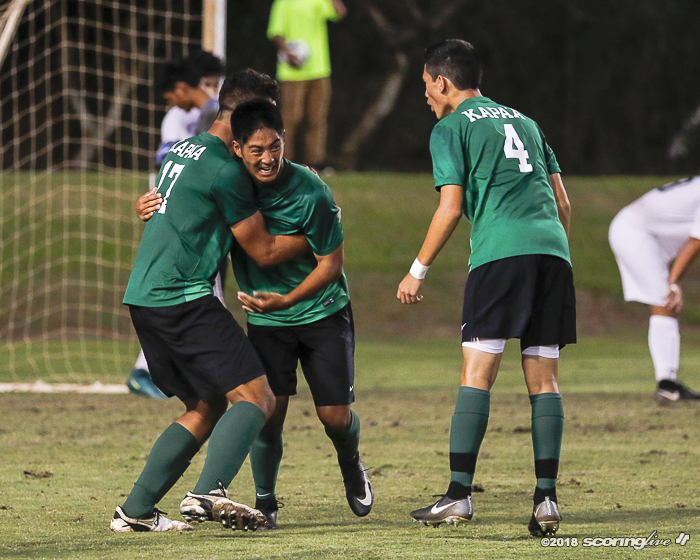 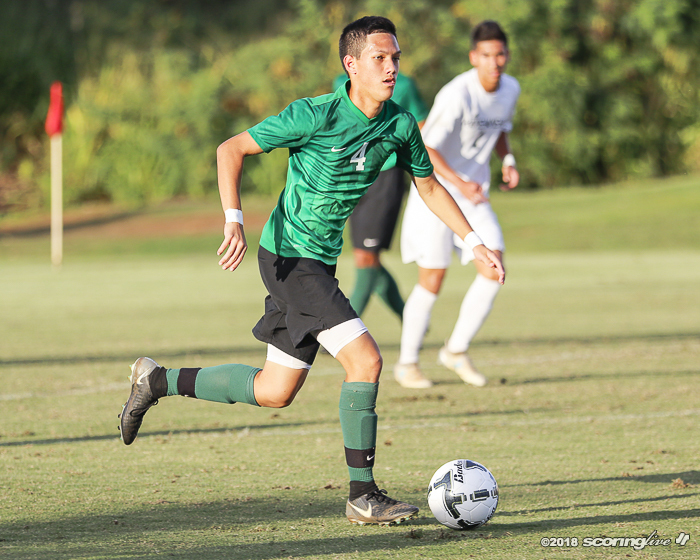 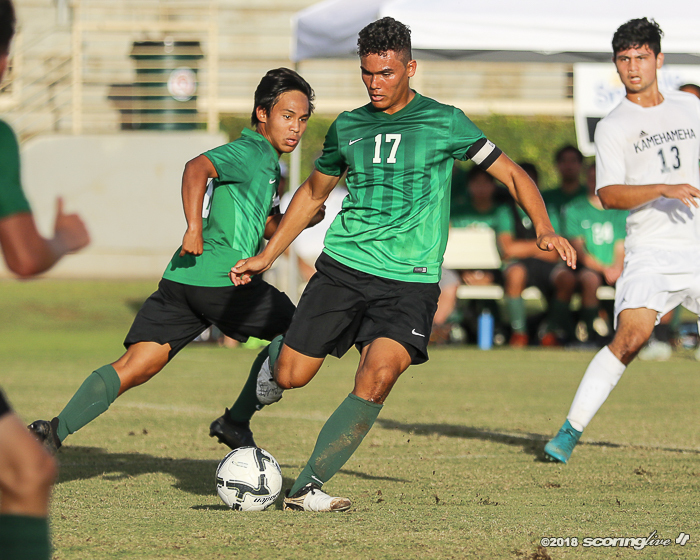 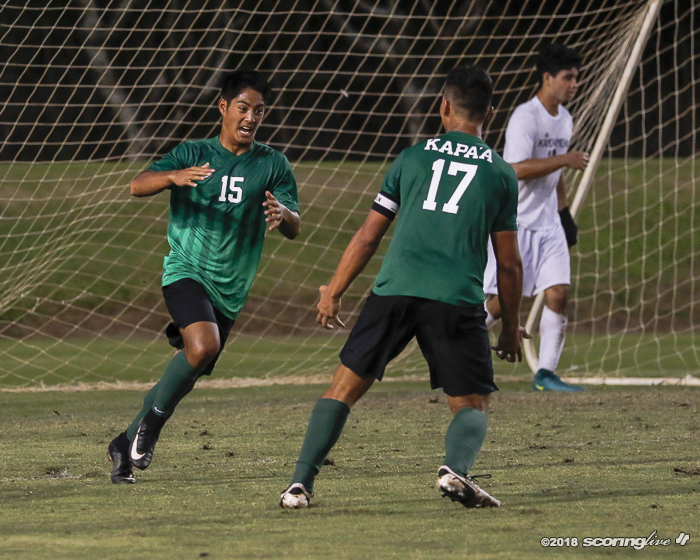 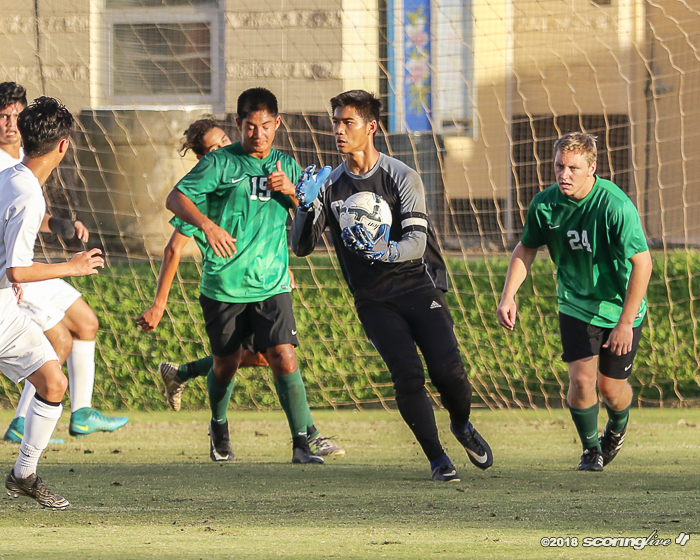 Kapaa's Banasihan had several shots missed or saved before he banged in the game-tying goal in the 79th minute from five yards out. 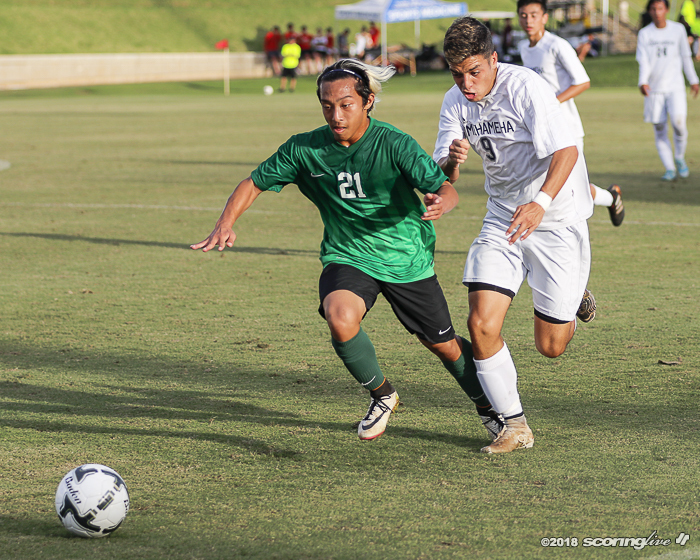 But the tie was shortlived because of the foul in the penalty area that sent DeMotta to the line. 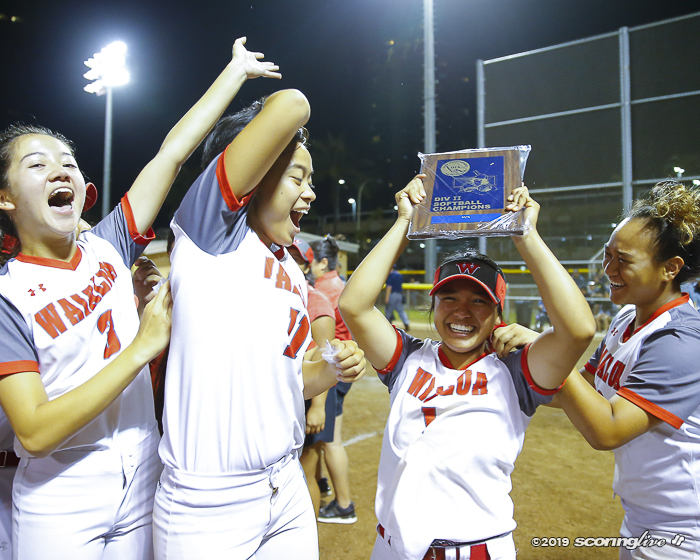 "I wasn't watching the play, so I can't say, ‘yay or nay,' or what exactly happened or what (the official ) saw," Cram said. 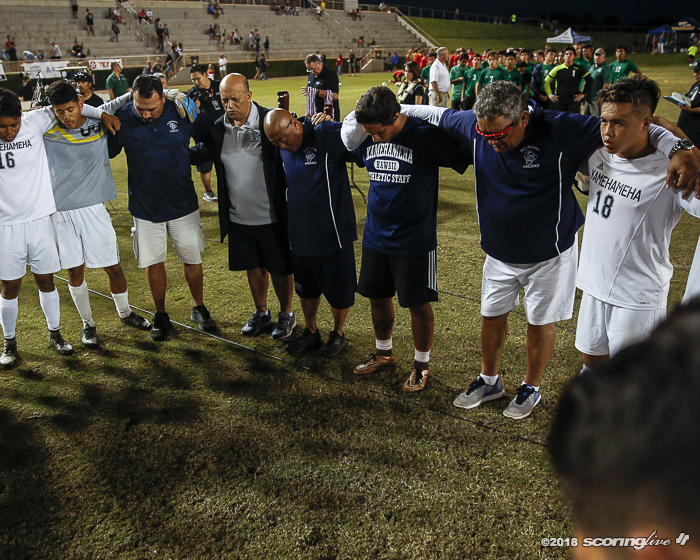 "Normally, I'd have an opinion, if I'd seen it, but I hadn't so it is what it is. 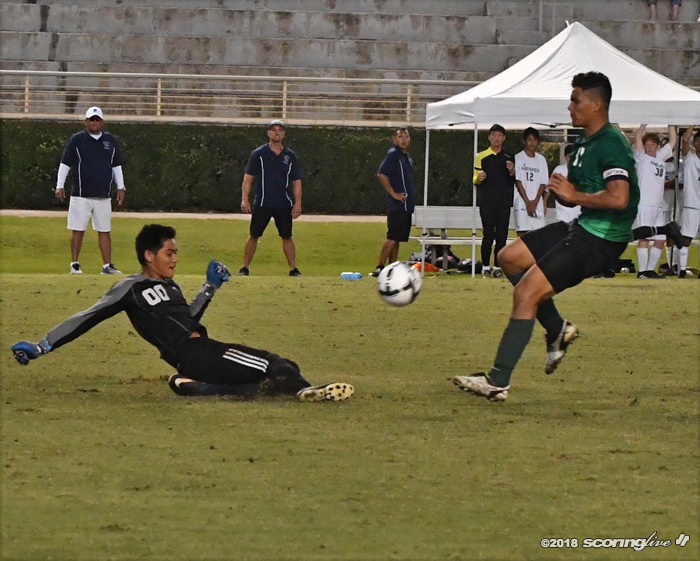 I've been a referee and I know the calls are tough sometimes so you just go with whatever the referee decides and sees." 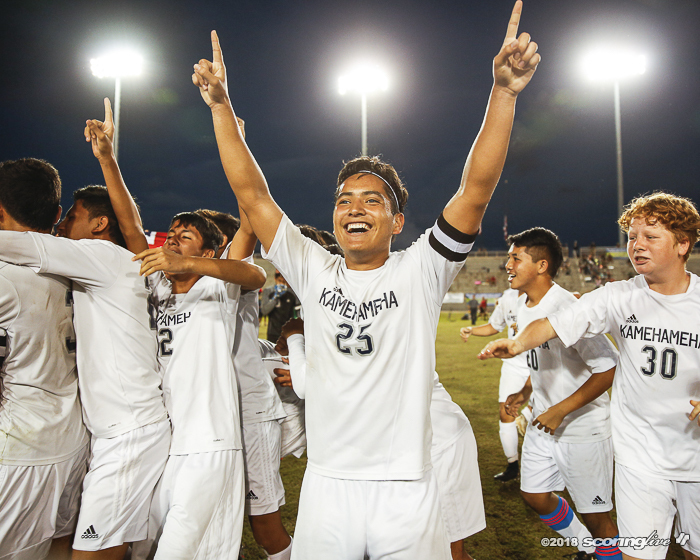 It was the fourth consecutive year the BIIF has won the D2 title. 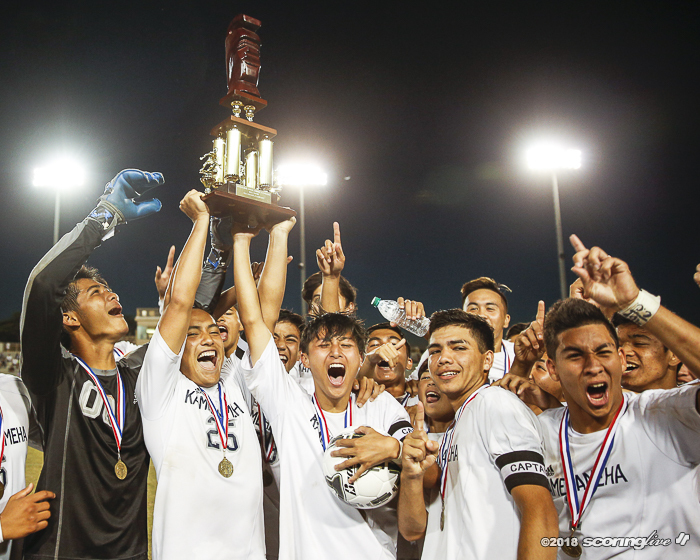 Hawaii Prep, which played for the D1 title Saturday night, won the previous two years.